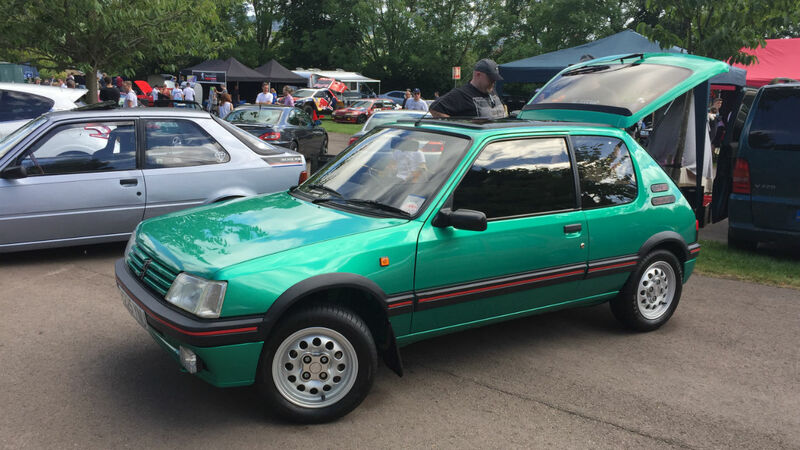 Fans of the Peugeot 205 GTI – and other hot Peugeots – gathered at Prescott Hillclimb near Cheltenham for the annual Peugeot Festival. 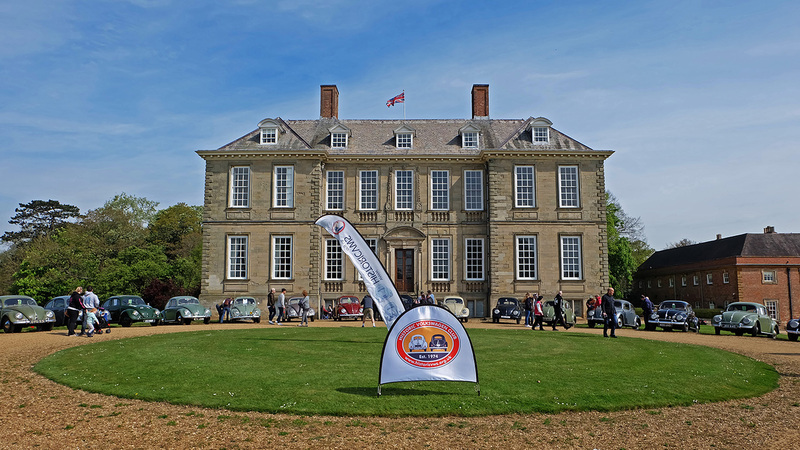 In addition to (non-competitive) runs up the hill and a hotly-contested concours, this year’s event included a line-up of special VIP cars. 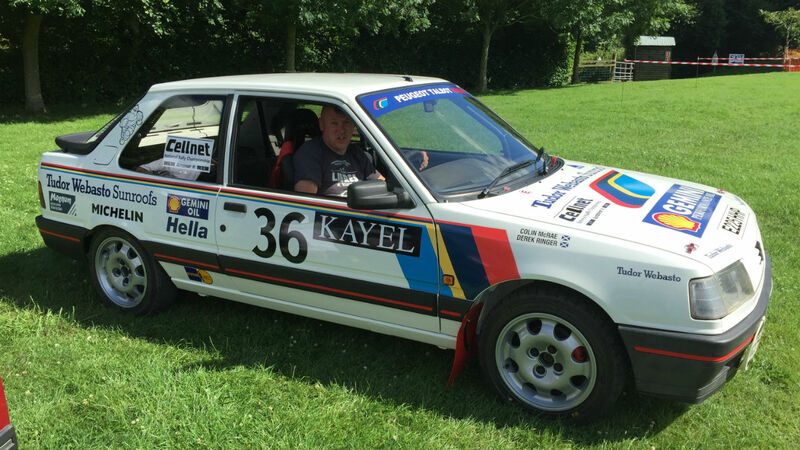 Topping the list of VIPs was a Peugeot 309 GTI rally car raced by the late Colin McRae before he won the World Rally Championship with Subaru. 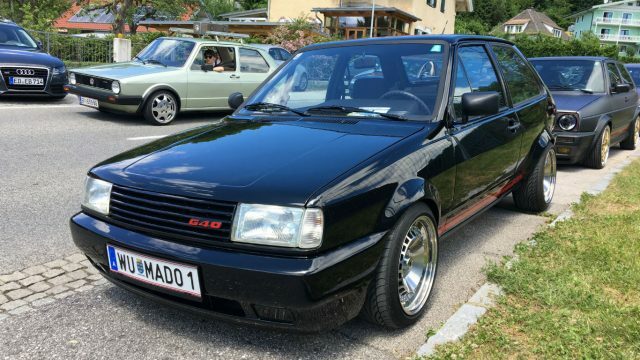 A 205 T16 – the only black example, formerly owned by the King of Bahrain – was also showing off its mid-engined innards, while the Dimma-kitted 309 GTI Goodwood was also unique. 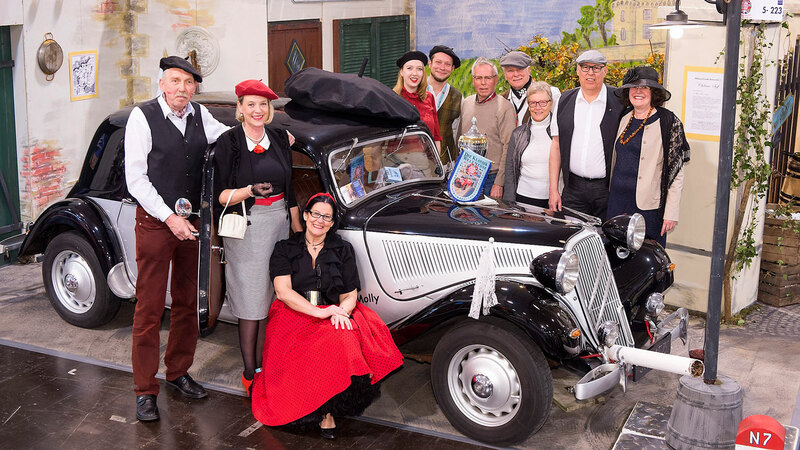 Many cars and clubs made the journey to the festival from around Europe. 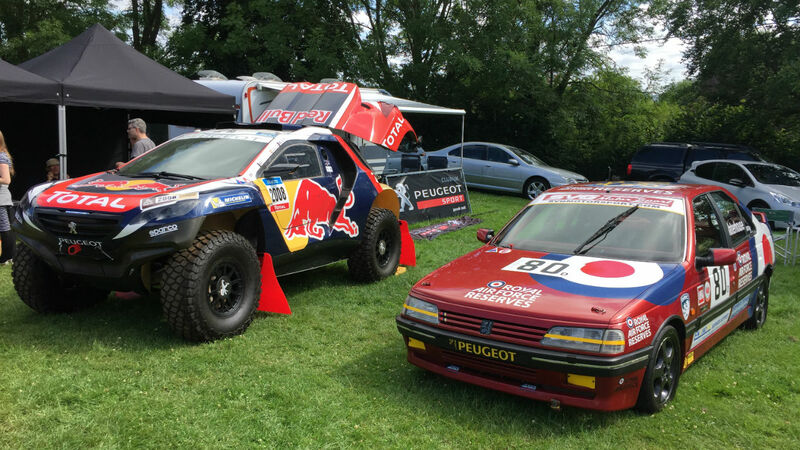 Peugeot Sport in France even provided their 2008 Dakar racer, offering showgoers the chance to sit in Carlos Sainz’s driving seat. 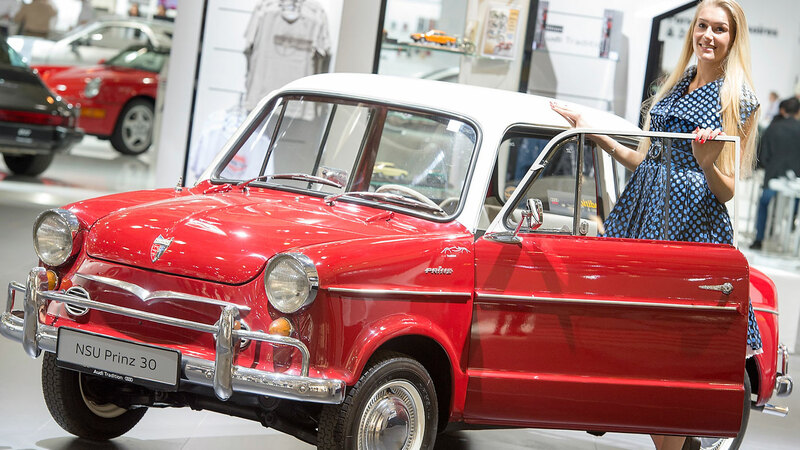 There were celebrations for the 20th anniversary of the 106 GTI & 406 Coupé, too – plus the 25th anniversary of the rarest 205 GTI, the 1FM special edition. 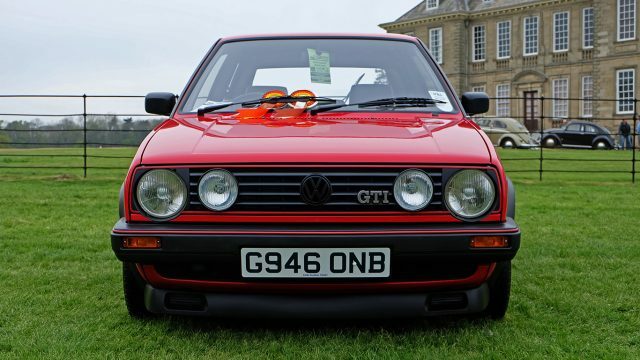 Only 25 GTI 1FMs were made to celebrate 25 years of Radio 1, and no less than seven of them drove in convoy up the Prescott Hill. 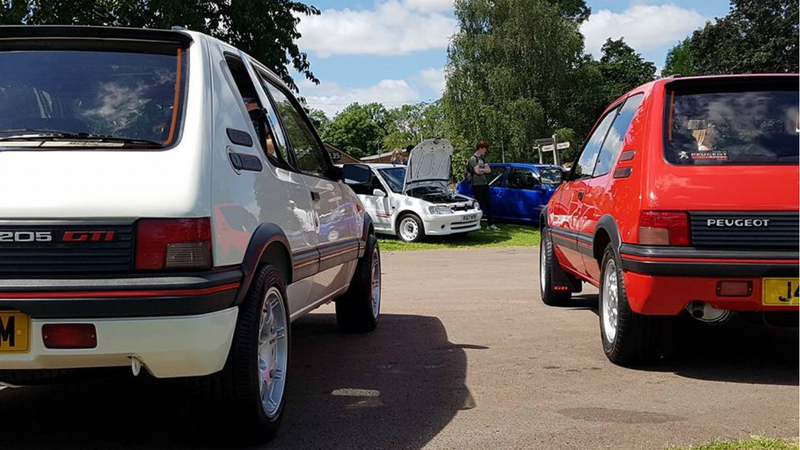 The Peugeot Sport Club traces its roots back to 1985, when it was known as the Peugeot 205 GTI Club. The club was started by Peugeot UK to help owners enjoy their cars as part of its marketing strategy at the time. 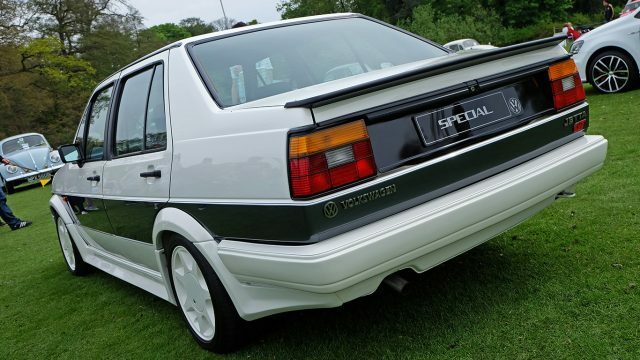 In 1988, the organisation of the Club was handed over to a small team of enthusiastic members, and the 205 GTI ceased production in 1994. But the club lives on: now open to all Peugeot owners. 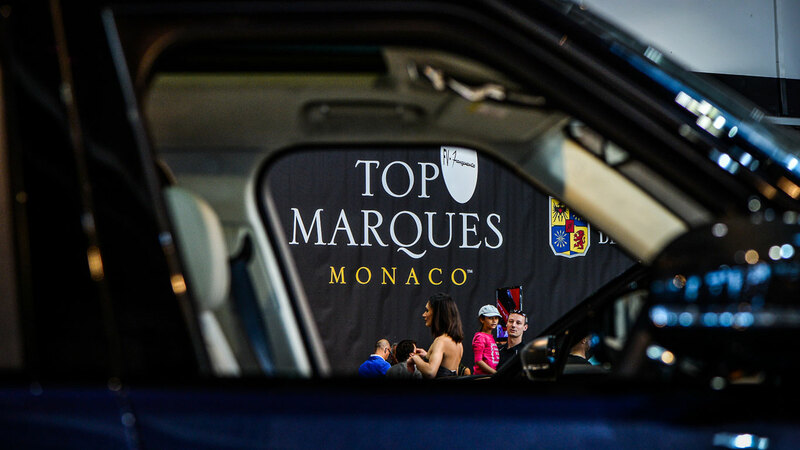 Check out our gallery for photos of many cars at Peugeot Festival 2017. 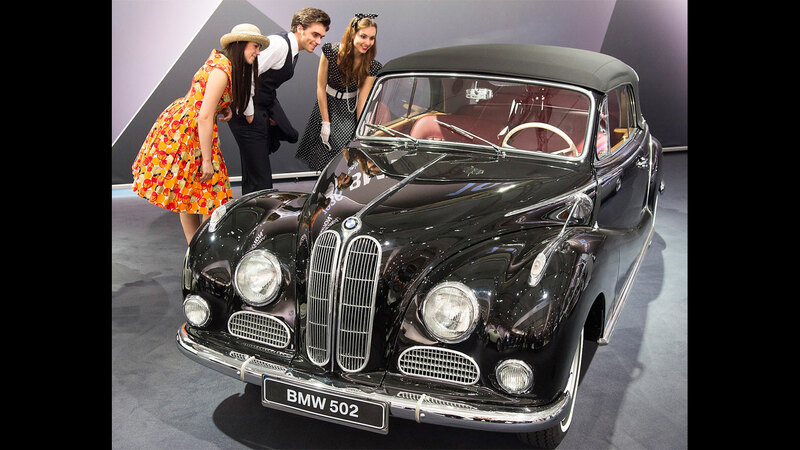 From an unrestored 305 saloon to a modified, wide-body 306 cabriolet, there’s something for everyone. 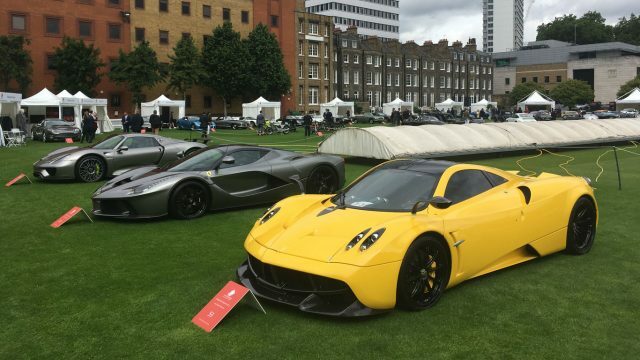 London’s new City Concours takes place on a five-acre lawn, hemmed in on all sides by towering offices in the heart of the Square Mile. 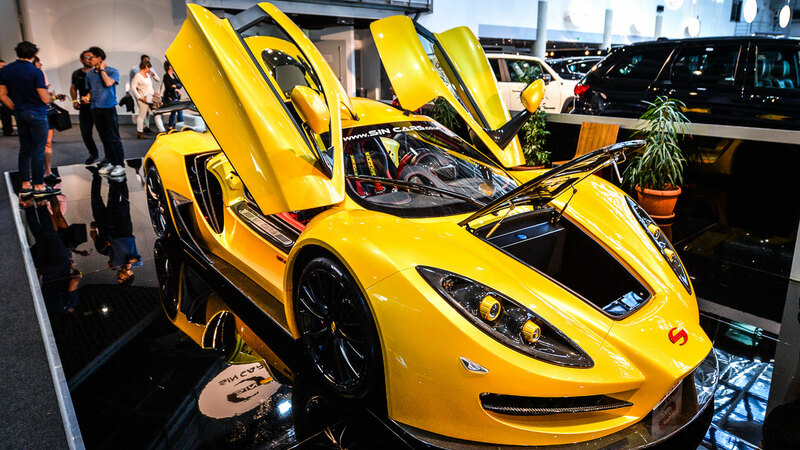 Here, more than 100 hypercars, supercars, classic cars and racing cars gathered to be gawped at, photographed, polished and judged. Join us for a guided tour. 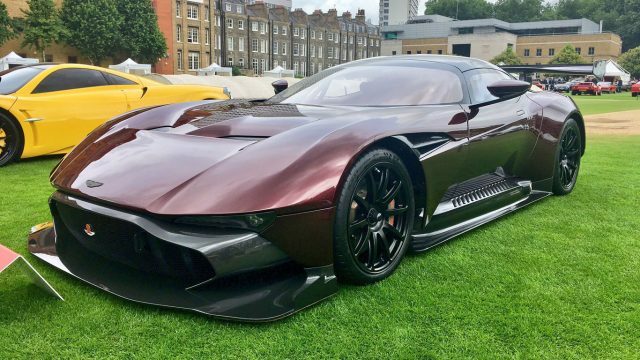 They don’t come any more ‘hyper’ than Aston Martin’s limited edition, track-only Vulcan. Boasting an 812hp V12, sequential gearbox, pushrod suspension and a front splitter that doubles as a lawn mower, only the brave – and wealthy – need apply. 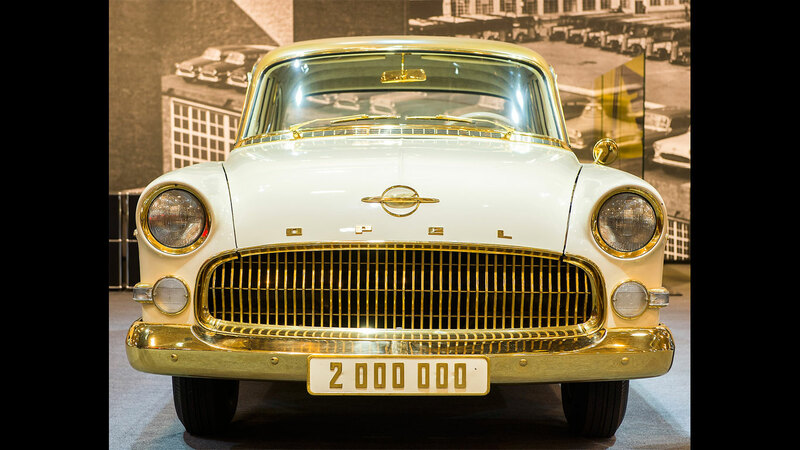 One problem: all 24 cars have already sold out. 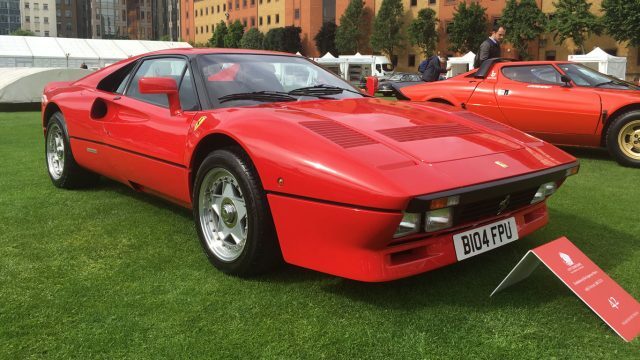 We’re suckers for any Rosso Corsa Ferrari, especially a 288 GTO. The 1984 Gran Turismo Omologato is a radically re-engineered 308 GTB, originally intended for Group B rallying. 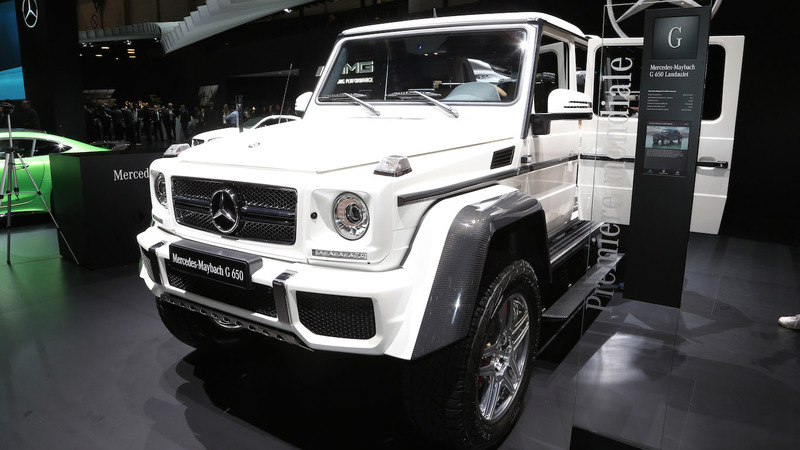 With a twin-turbocharged 400hp V8, it has a claimed top speed of 189mph. However, the Ferrari F40, launched in 1987, would go 11mph faster. 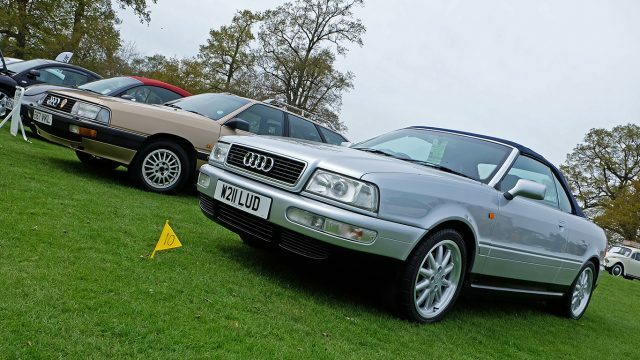 There were two RS 2.7s at City Concours, but this is the even rarer Lightweight version – one of 200 made. 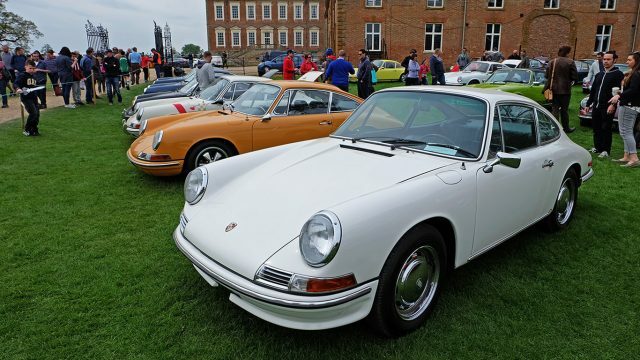 Porsche took weight-saving seriously, with thinner body panels and glass, and no rear seats, carpets or sound insulation. 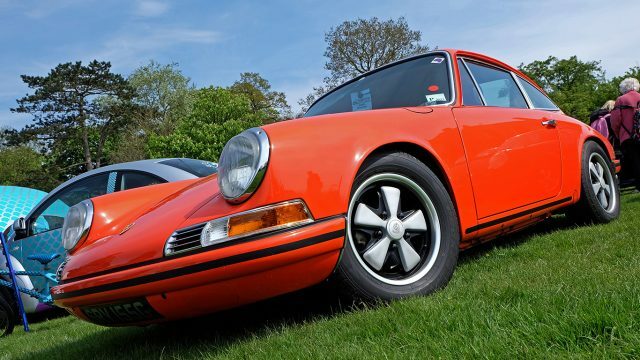 This rare-groove 911 even does without sunvisors or a glovebox lid. What do you expect for seven figures? 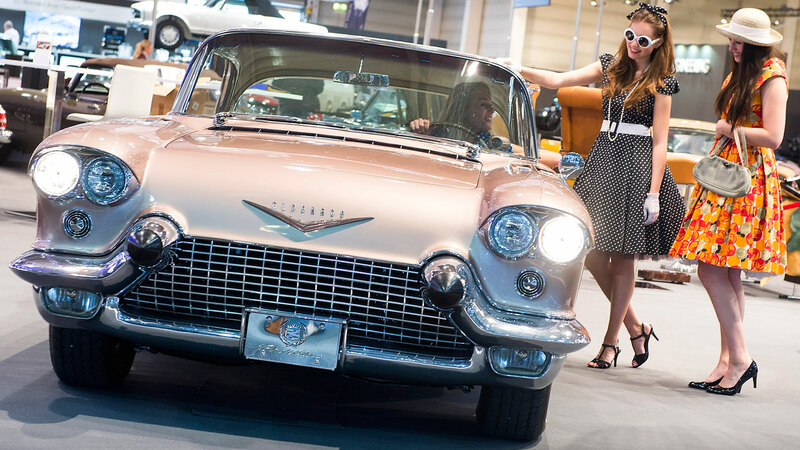 A display of classic American muscle cars made a welcome contrast to the array of European exotica. 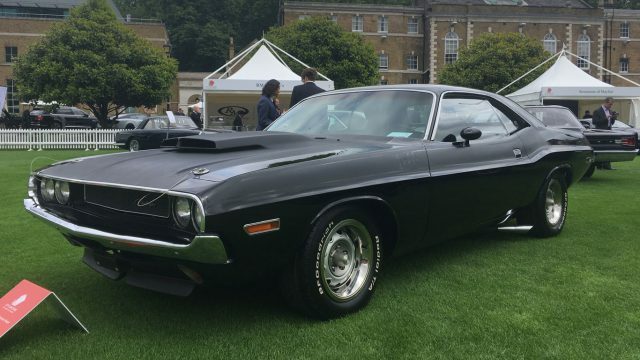 This tyre-smokin’ Dodge Challenger T/A 340 6-Pack was our favourite, with a Plymouth Barracuda and Chevrolet El Camino SS pick-up close behind. As film buffs will know, a white Challenger is the star of iconic road movie, Vanishing Point. 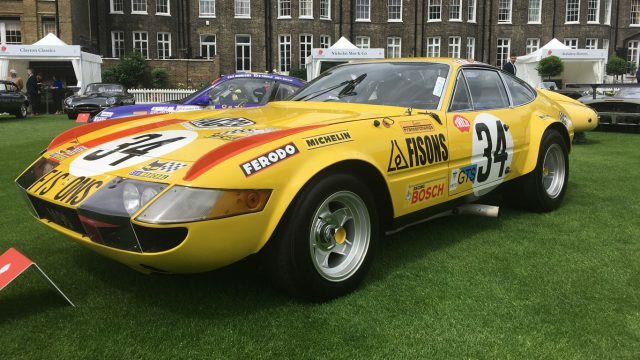 This, to give it its full title, is a Ferrari 365 GTB/4 Competizione Series 3. But we’ll just call it a Daytona. 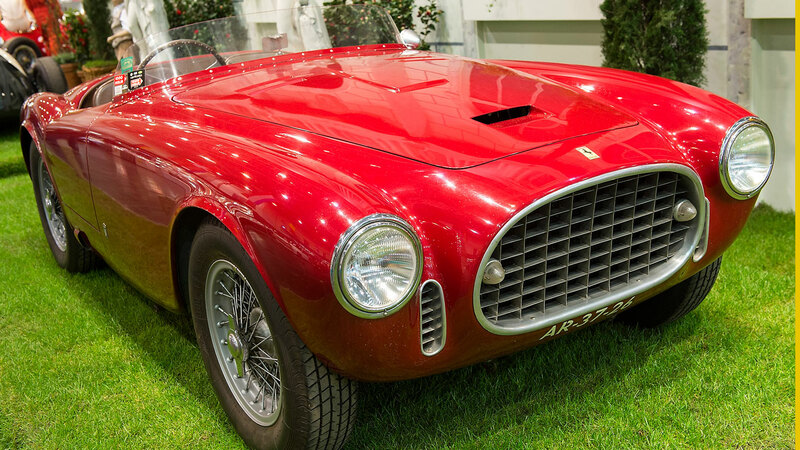 From its plexiglass headlight covers to its sawn-off side pipes, this harder, faster Ferrari screams retro cool. The Competizione was a success in motorsport, too, finishing fifth at Le Mans and second in the Daytona 24-hour race. We recently drove this very Atalanta roadster and enjoyed it immensely. 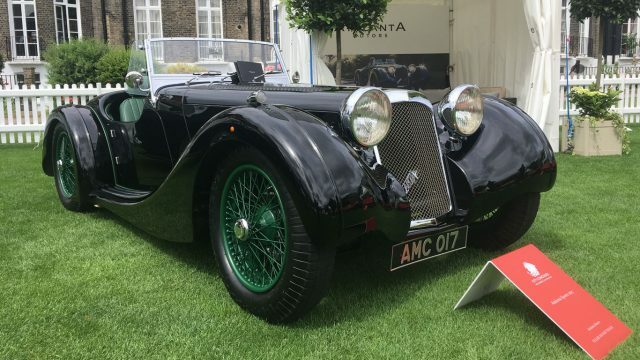 The car is a recreation of Atalanta’s 1930s Le Mans racer, with remarkably few concessions to modernity. 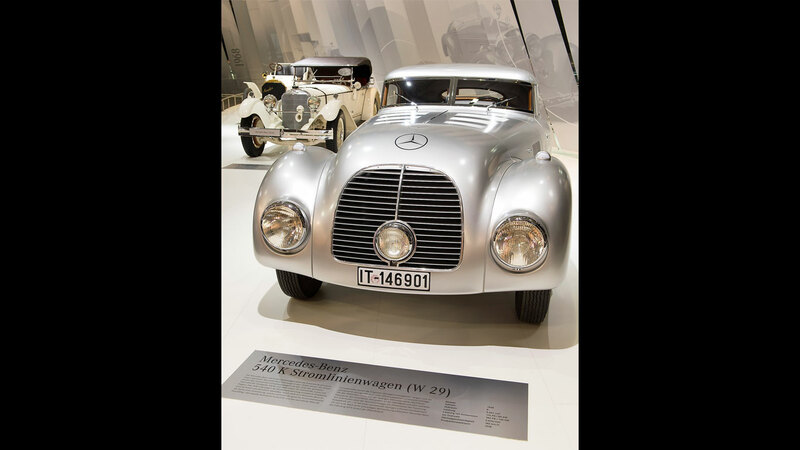 Power comes from a 2.5-litre Ford engine developing ‘around 200hp’ and breathing through a rorty, side-exit exhaust. 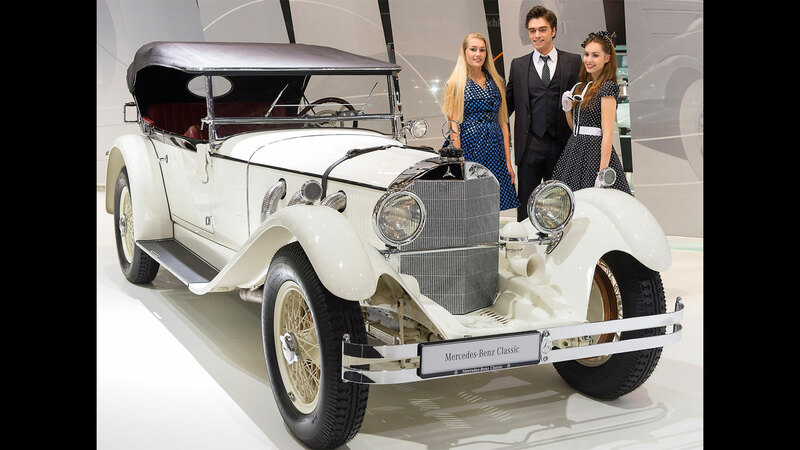 Only one car will be hand-built each month, priced at £150,000. 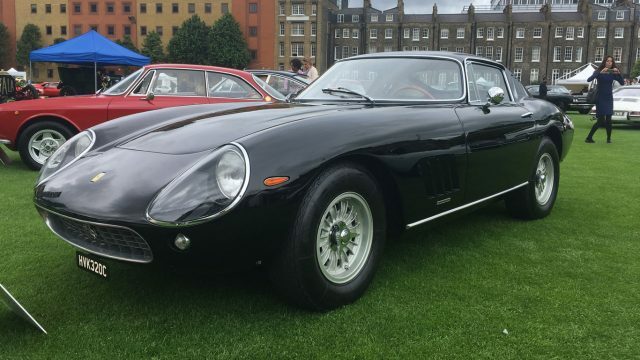 Few Ferraris are prettier than the 275 GTB, and this early ‘short nose’ car looks particularly delectable. The 275 used a 3.3-litre version of the venerable ‘Columbo’ V12, which developed 280-330hp here (depending on spec). 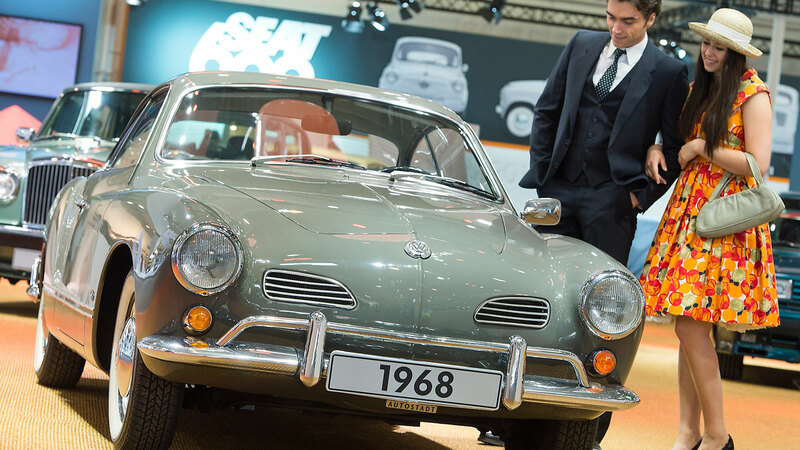 Buyers could choose from three or six carburettors, plus steel or alloy bodywork. 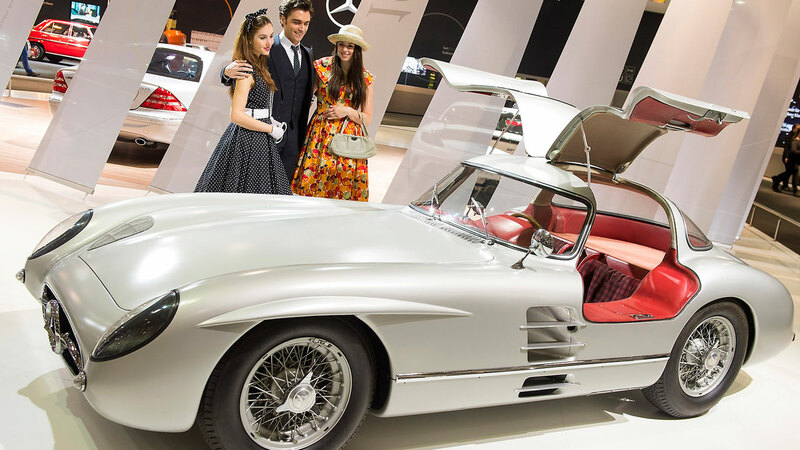 A limited-run convertible version, the 275 NART Spider, was sold at auction for around $18million. 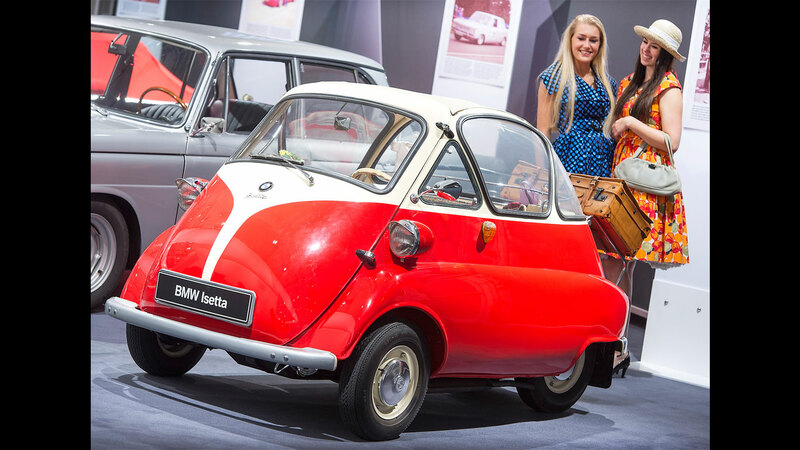 Ironically, it was BMW’s retro-remake MINI that opened up the market for posh city cars. Now, Silverstone-based David Brown Automotive is following suit with ‘Mini Remastered’ – a modernised version of the Issigonis original with lots of bespoke options and a price tag that starts from £50k. We’ll stick with a classic Cooper, thanks. 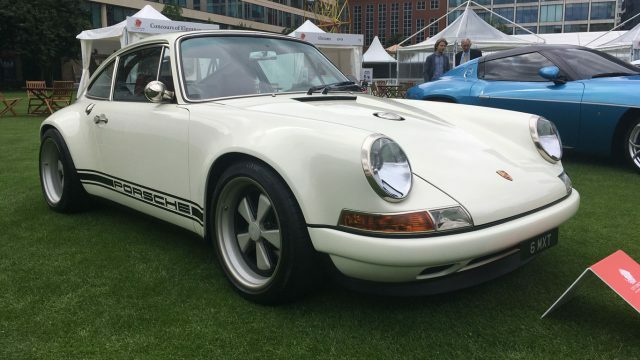 Speaking of modernised classics, here’s the sublime Singer 911. 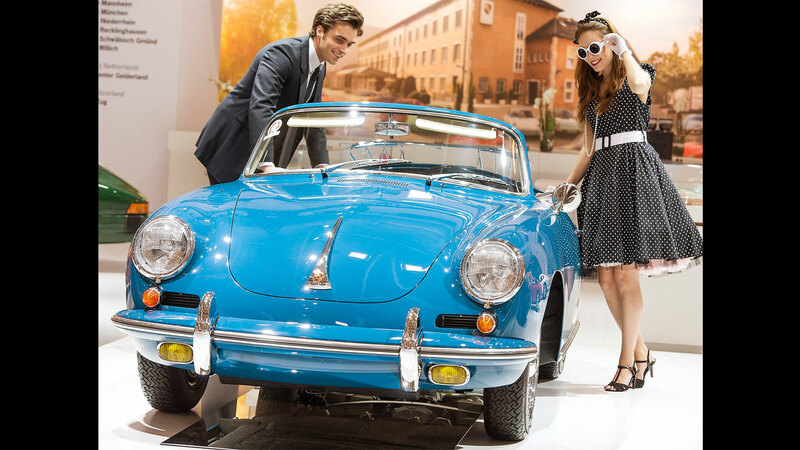 Based on the 964-era Porsche 911, each car is built to order – the only limit is your budget. 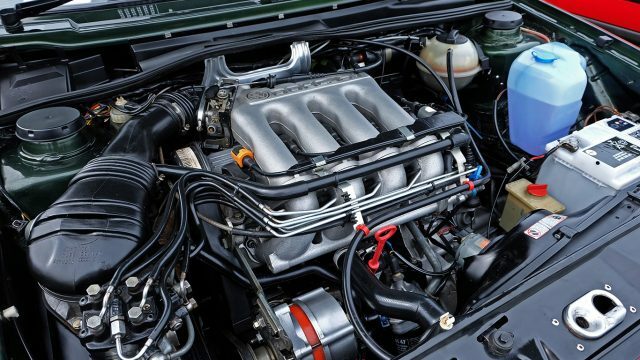 Flat-six engines are rebuilt by Cosworth in the US, with outputs from 300hp to 425hp. 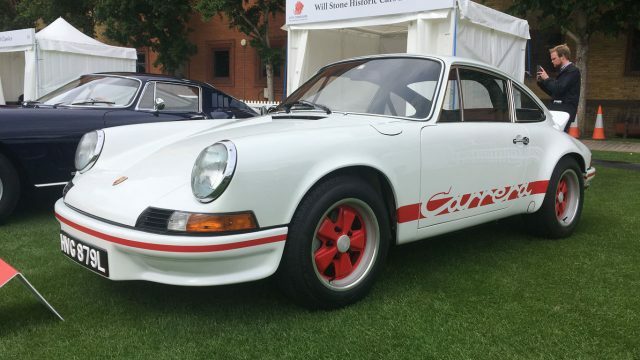 With prices for classic Porsches spiralling into the stratosphere, could this be the ultimate big-budget 911? 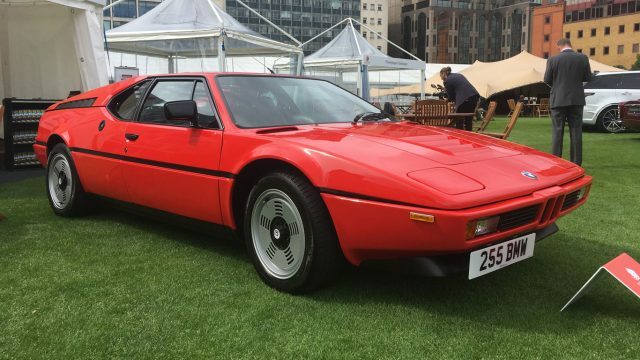 This fabulous BMW M1 was a strong contender for our favourite car at City Concours. It also wins the ‘coolest alloy wheels’ prize hands-down. In fact, the M1 was a failure when new, with a torturous gestation (including a fall-out between BMW and Lamborghini) and just 457 made. Today, it’s a sought-after classic and rightly recognised as one of the great 1970s supercars. What does James Bond drive after he’s hung up his Walther PPK, swapped the Martini for decaf tea and bought a labrador? 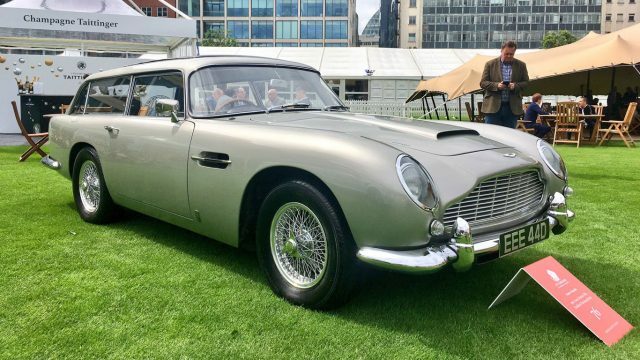 The answer, as if you didn’t already already know, is the Aston Martin DB5 Radford Shooting Brake – a stylish three-door estate with a top speed of 150mph. Only 12 were made, although Radford went on to build six DB6 Shooting Brakes. 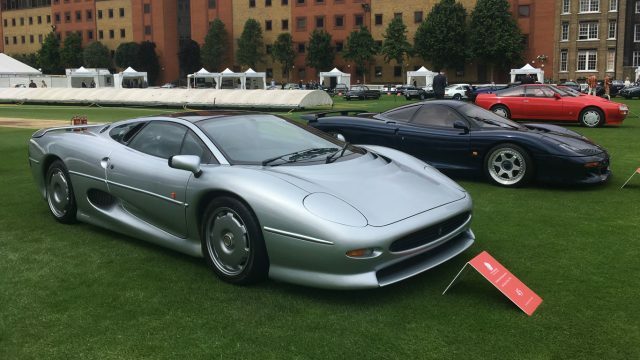 Another British hero, although the XJ220 has always played the plucky underdog thanks to its turbocharged V6 engine. When first shown, it had a full-fat V12 and four-wheel drive, but cost/engineering issues meant the production version borrowed its 3.5-litre V6 from the Metro 6R4, with rear-wheel drive only – and without the active aerodynamics and rear-wheel steering of the concept. 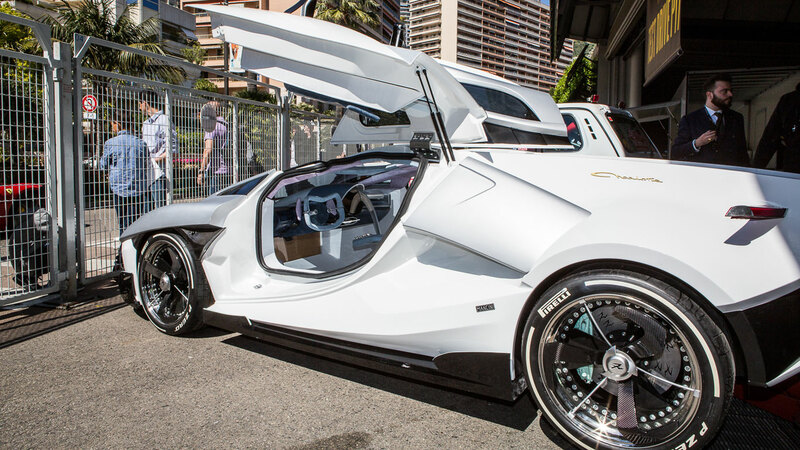 No matter, it’s still a traffic-stopping 212mph supercar. 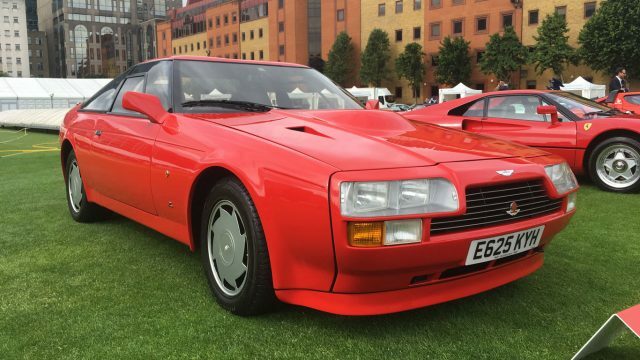 Love it or hate it, Italian styling house Zagato’s angular take on the Aston Martin V8 is certainly… different. 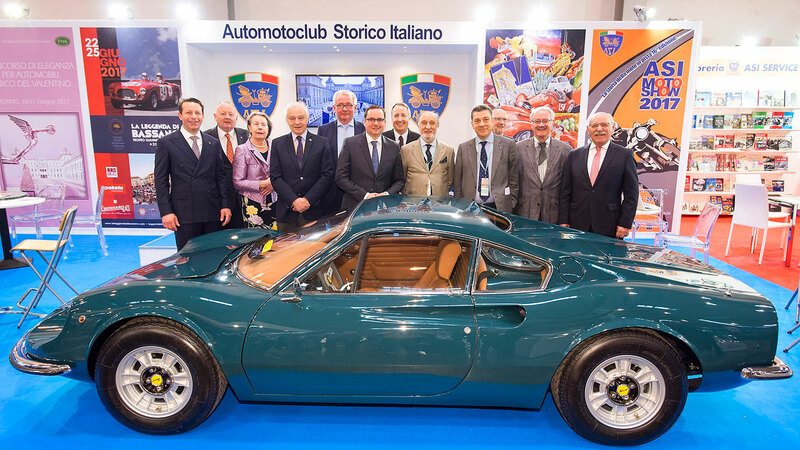 Thanks to light alloy bodywork – and the small matter of a 430hp 5.3-litre V8 – the Zagato could reach 186mph. 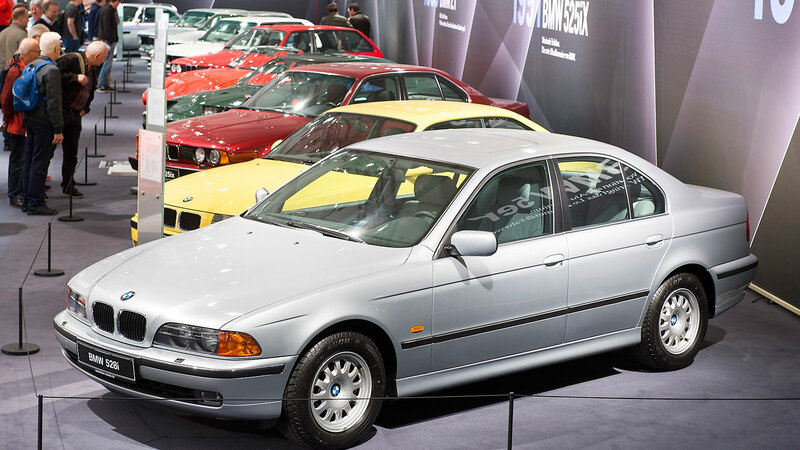 Just 52 coupes and 37 convertibles were made between 1986 and 1990. Oh, and for the record, we love it. 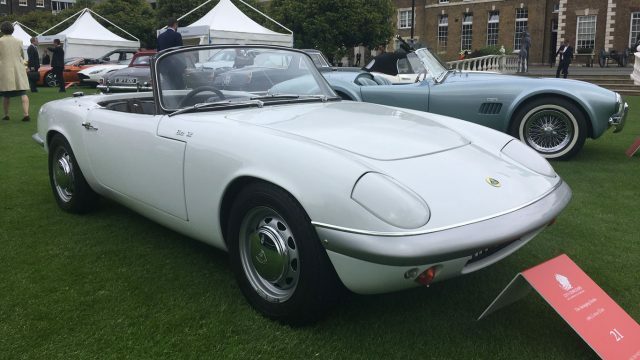 Mega-horsepower hypercars are all very well, but all you really need to achieve automotive nirvana is a Lotus Elan. 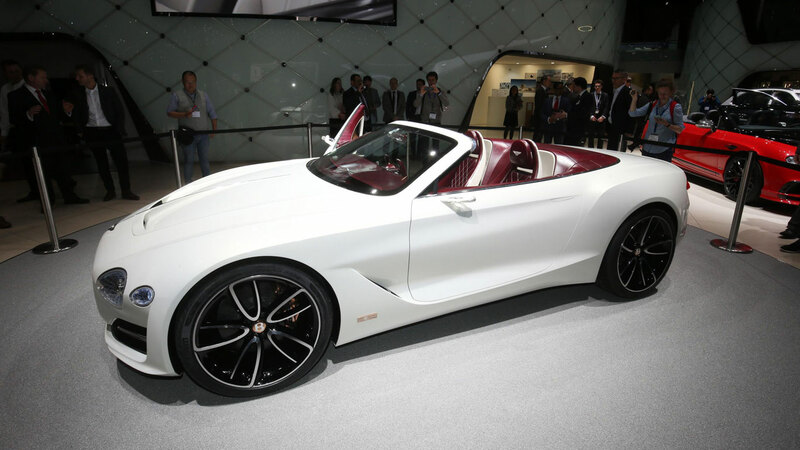 The diminutive British roadster is powered by a peppy 1.6-litre engine and weighs just 726kg. To put that into perspective, a new Ford Fiesta is around 1,100kg. Decades later the Elan became the inspiration for the original Mazda MX-5. 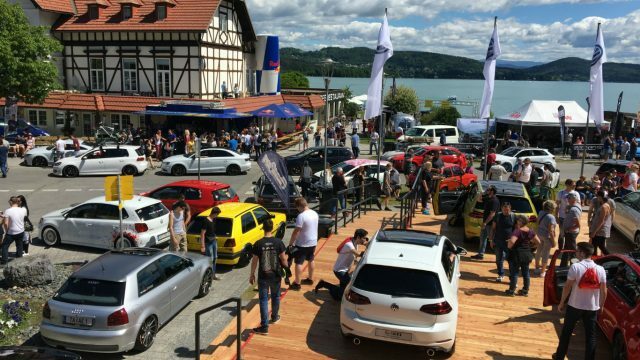 The Austrian town of Reifnitz on the side of Lake Worth, or Worthersee, has hosted the ‘GTI Treffen’ festival for 36 years. 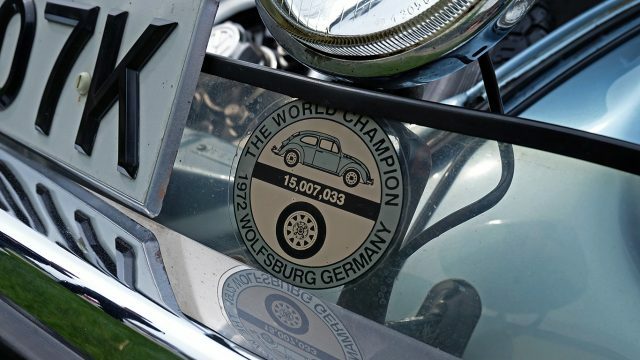 Originally a small meet of Volkswagen enthusiasts (just 100 cars attended the first event), more than 100,000 fans from all over Europe now head to the Alps at the end of May. 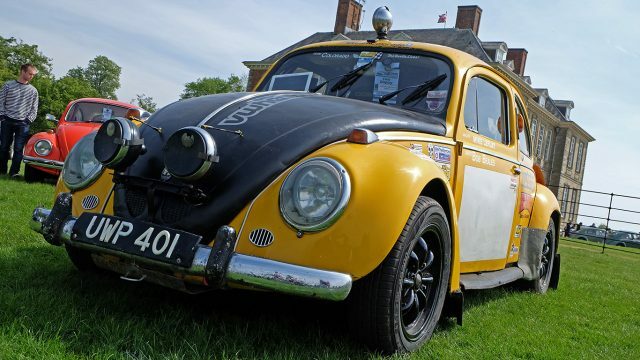 We sent a snapper to the event and captured some of the weird and wacky VWs in attendance. 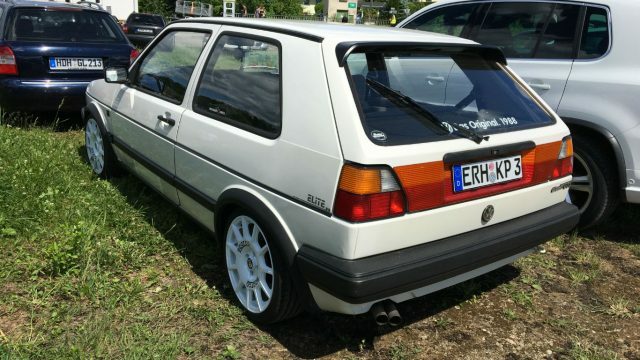 If Mk1 Volkswagen Golf GTIs are your thing, you’ll be well catered for at Worthersee. 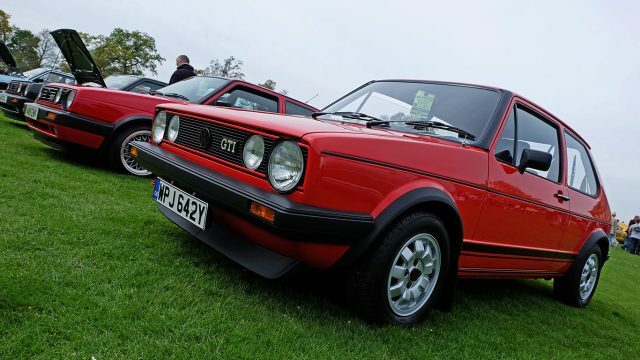 The event was first created to celebrate the original GTI, and there are still loads in attendance today. 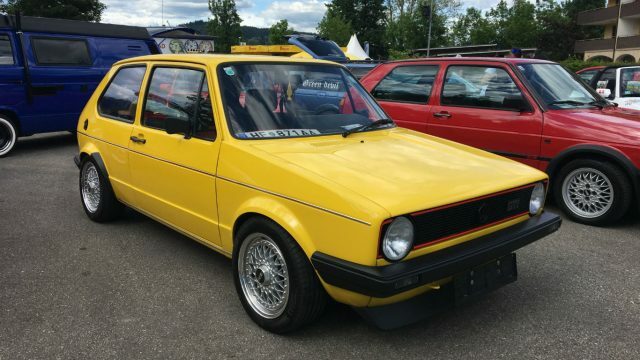 From the original example to modified ones like this bright yellow GTI, we can get behind the subtle look. What were we saying about ‘subtle’? 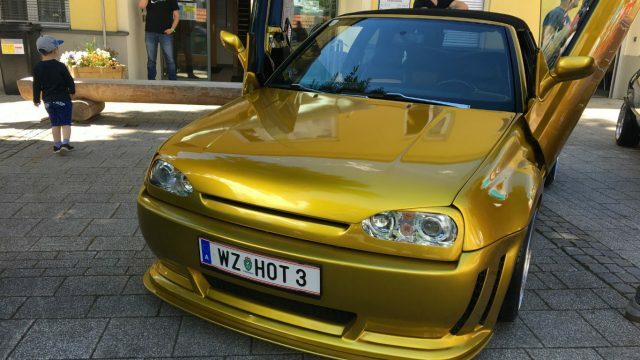 This modified third-generation Golf cabriolet is anything but. There really is something for everyone. 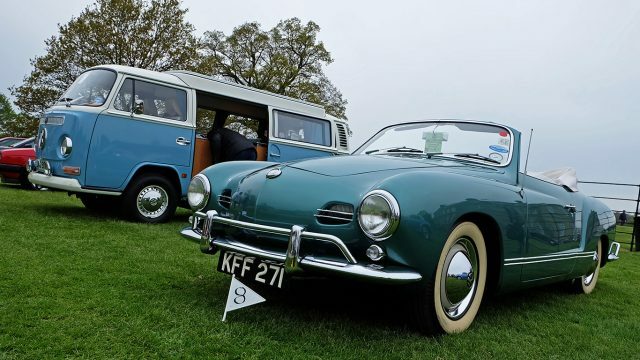 Although predominantly a Volkswagen show, there are other VW Group cars in attendance. 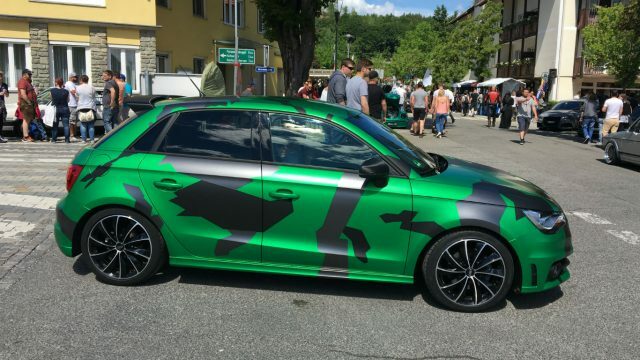 Such as this interesting Audi A1, which we can barely see thanks to its camo look. 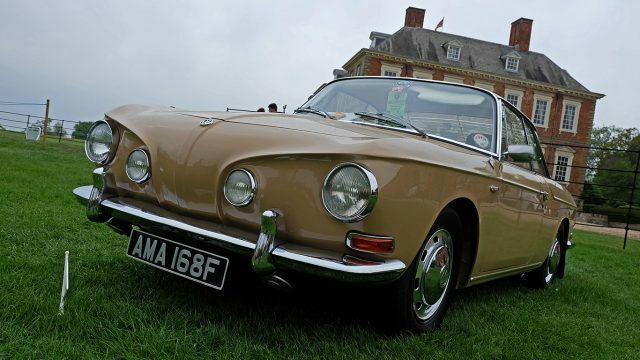 Brown with gold alloys doesn’t sound like a great look, but it works for us on this Audi 100. 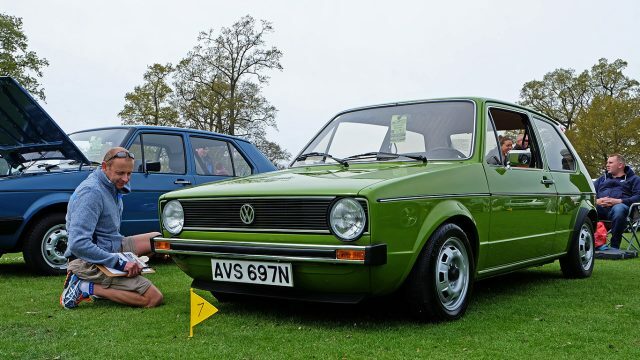 The Audi 50 is what became known as the Volkswagen Polo… and the rest, as they say, is history. 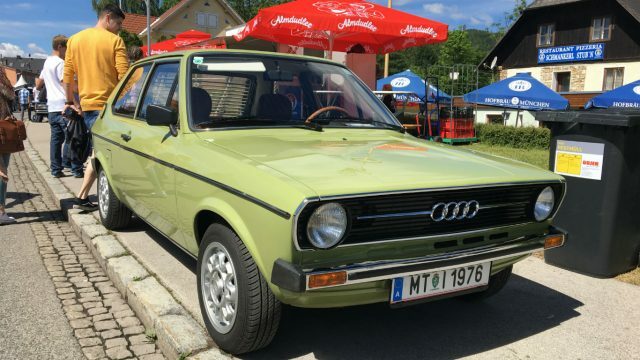 This fairly standard and incredibly tidy example received many admiring glances at Worthersee. Remember when Passats were cool? 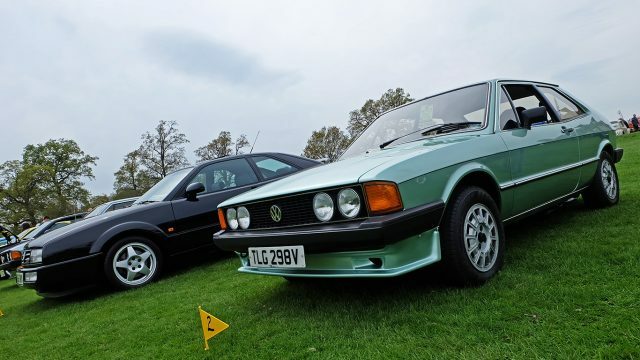 This B1 generation Passat Coupe is closely related to the Audi 80 of the same era. In a town full of modified Vee-dubs, there’s something very refreshing about a pair of properly mint Mk1 Golfs as the factory intended. 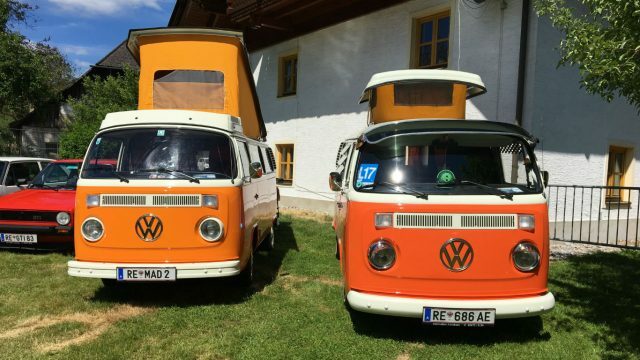 Well, if you’re visiting the Alps for a VW festival, is there a better way of doing it than an old-school VW camper? 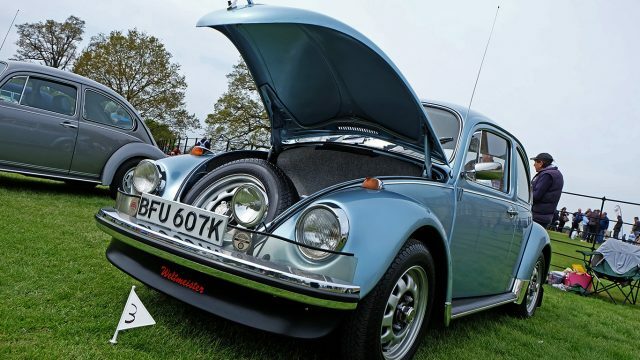 Thanks to their popularity, classic Volkswagen Beetles are still a relatively common sight on the roads. 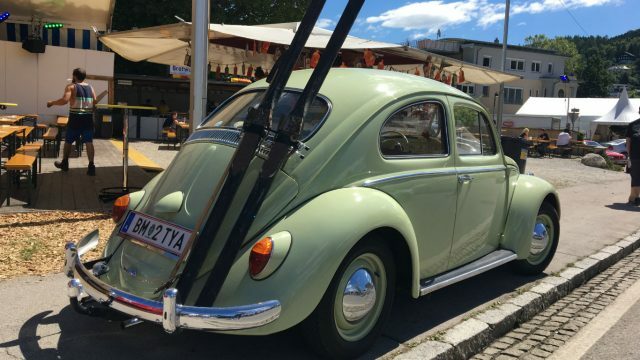 Plenty made it to Worthersee, including this lovely green example complete with skis on the back. The Polo G40 is the result of what happened when VW bolted a supercharger to the 1.3-litre engine in the GT. 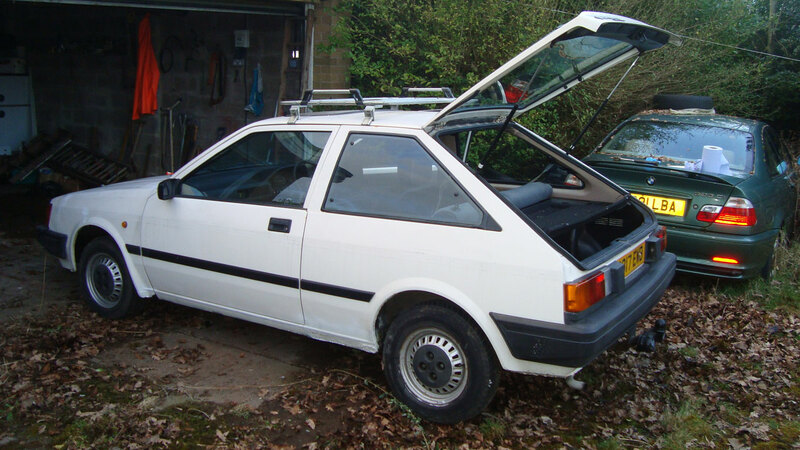 Although it wasn’t incredibly powerful (it produced 115hp), it’d beat both the Fiesta XR2i and Peugeot 205 GTi in the 0-62mph run. 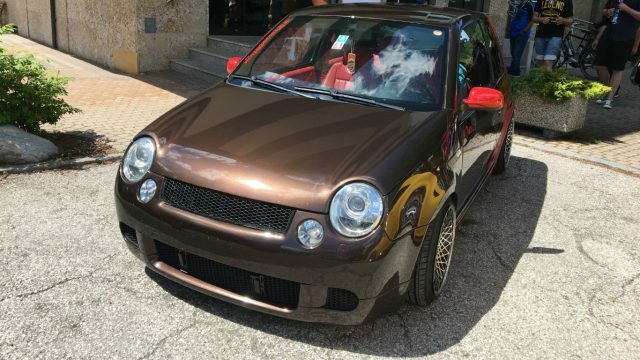 Ah, the VW Lupo. Pre-dating the popular Up, the Lupo wasn’t quite the sales success of its successor. 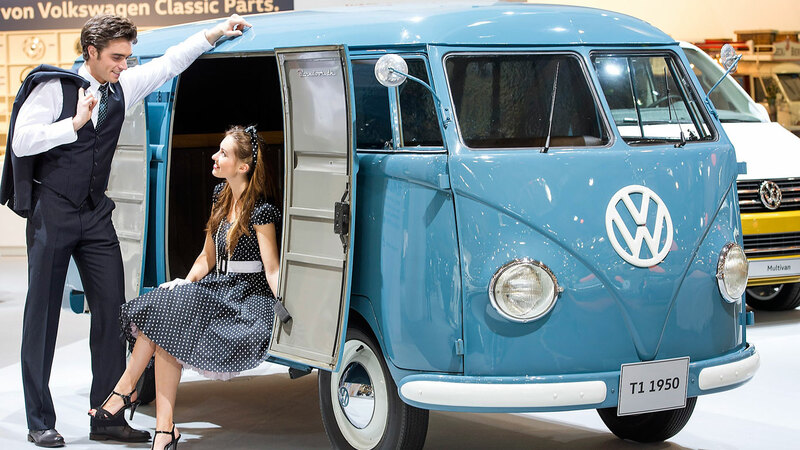 They’ve got quite a following in Volkswagen circles, though. 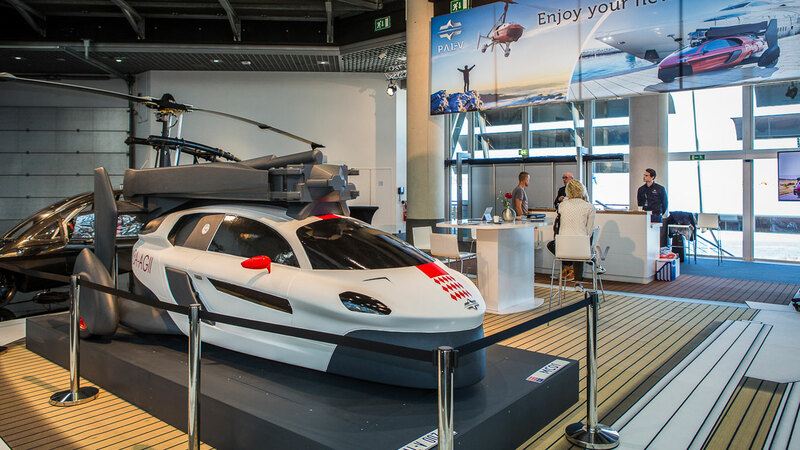 This was one of a number of modified examples on show at Worthersee. You can imagine the meeting that led to the creation of the Volkswagen Polo Harlequin. 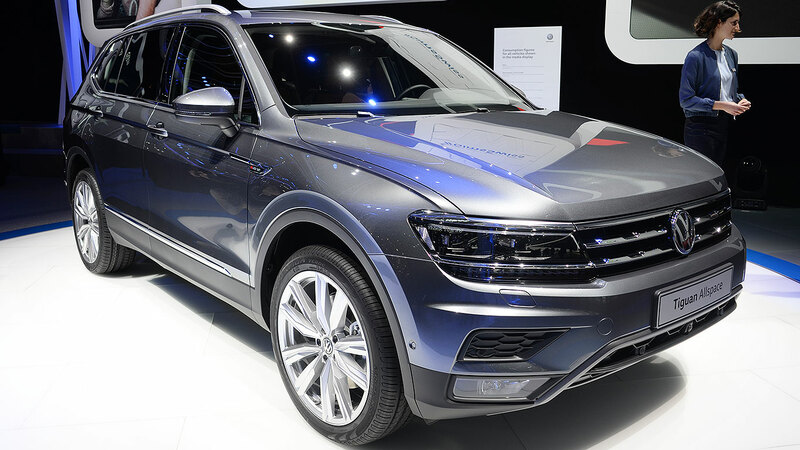 “We need to give the Polo a sales boost. Let’s launch a special edition. But what can we do with it?” The answer, apparently, was to paint every body panel a different colour. Around 3,800 were made (and presumably sold), including this modified example. 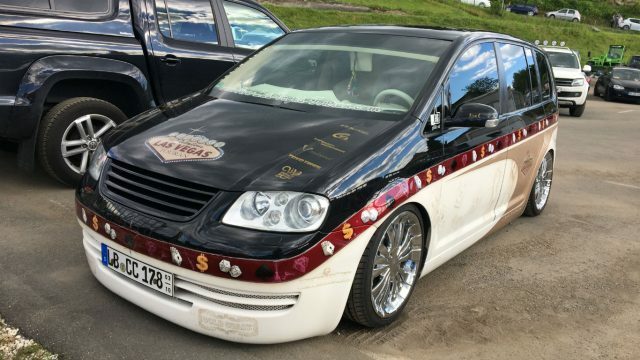 A Volkswagen Touran people carrier doesn’t seem the obvious choice as a base for a modified car. 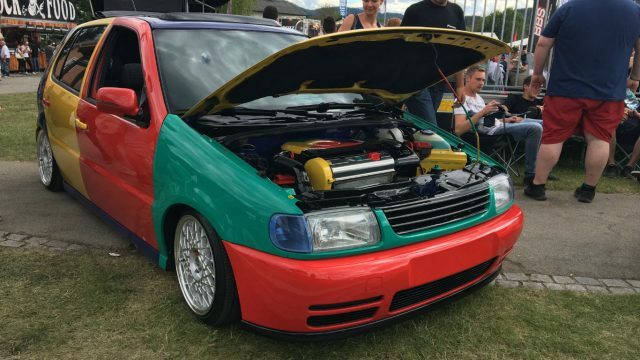 Name the VW, however, and you’ll probably find a modded version at Worthersee. 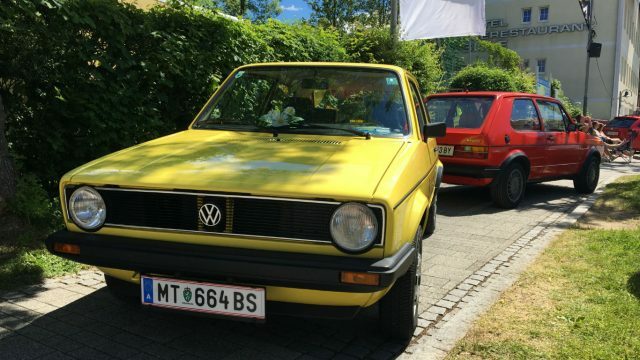 We spotted this lovely Mk2 Volkswagen Golf in one of the car parks at Worthersee. The decals suggest it’s an Elite special edition… we don’t know much about it, but feel free to tell us more about it in the comments if you do! 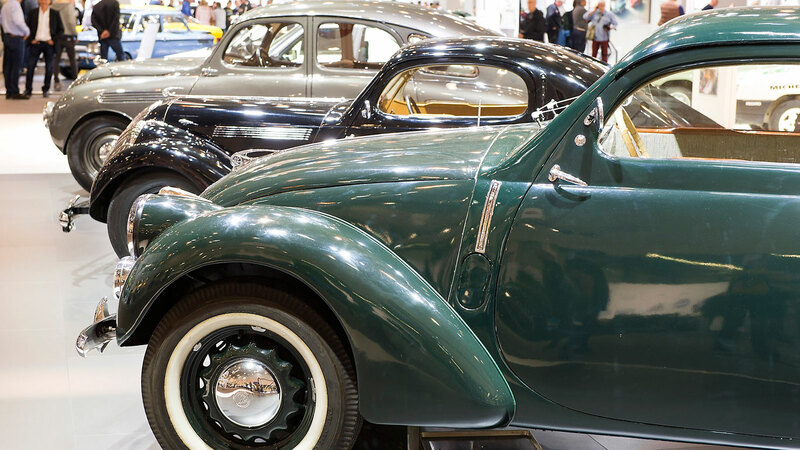 The barn-find display at the Classic Car & Restoration Show is as far removed from a concours d’elegance as you’re ever likely to get, but that doesn’t make it any less appealing. Indeed, there’s something bewitching about an old car emerging from its slumber, blinking its eyes as it sees daylight for the first time in years. 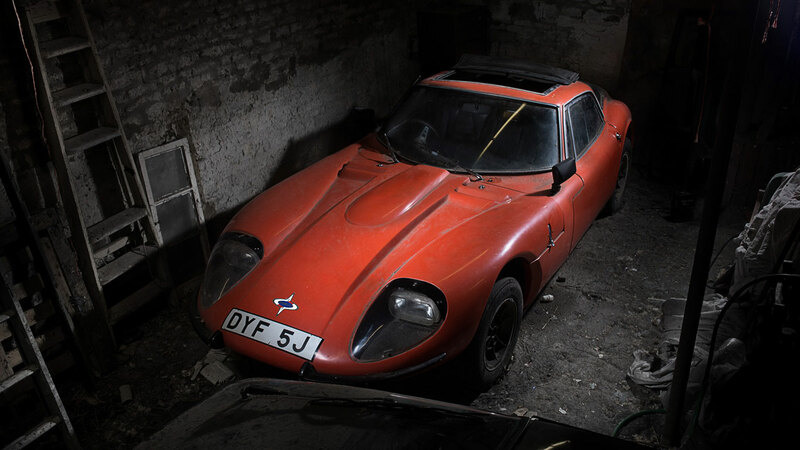 OK, so the term ‘barn-find’ has been massively diluted, with everything from a car stored on a front lawn to a vehicle left in the garage for a few years listed under the same umbrella. But we challenge you not to find something of interest in what the organisers are calling the “UK’s biggest collection of barn-finds”. We have photos of all 25, which you can see in the metal – or what’s left of it – at Birmingham’s NEC from 31 March to 2 April 2017. 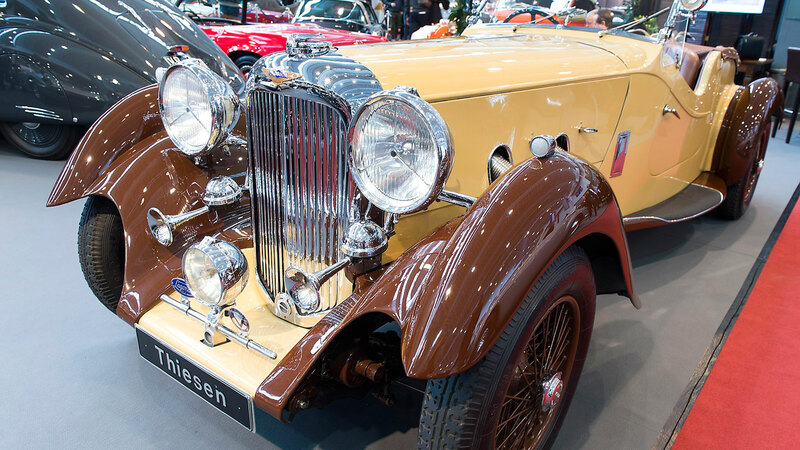 There’s a good chance that all of the cars featured at the NEC will be restored to their former glory. Take this 1987 Audi Quattro, which must be the star attraction of the entire display. 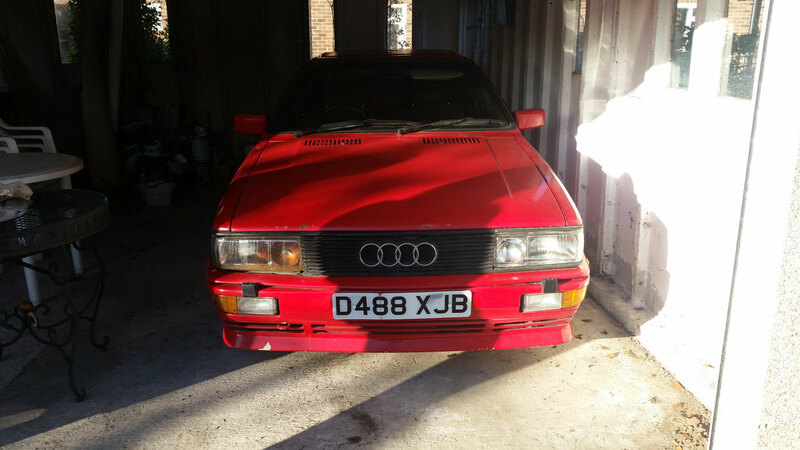 It belongs to serial Quattro owner Andy Bates, who discovered it sitting outside in Burton upon Trent. 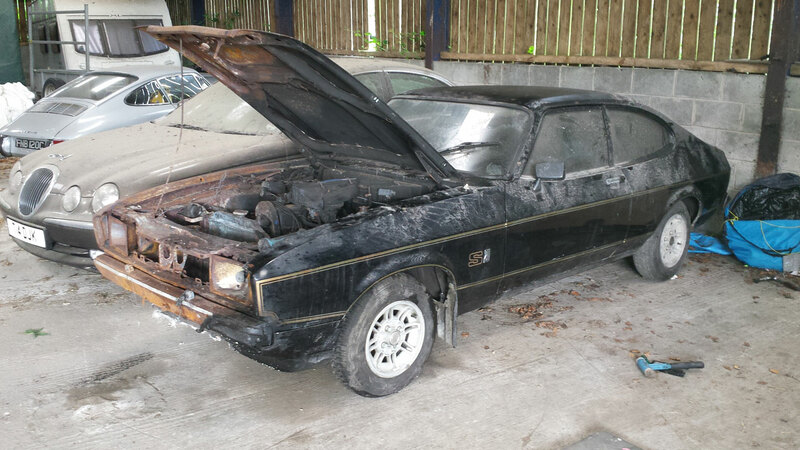 The Mk2 Capri was introduced in 1974 and ushered in a more practical body, complete with hatchback tailgate. 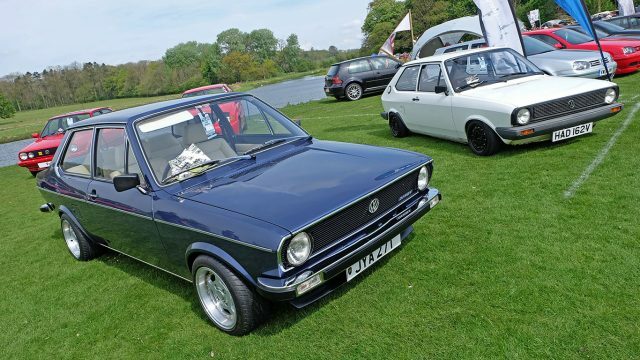 In truth, the Mk2 never captured the imagination quite like the Mk1, and production figures tailed off year-by-year, until the introduction of the Mk3 in 1978. The Capri S was unveiled at the 1975 Geneva Motor Show and was codenamed ‘Midnight’ after its black bodywork. Thanks to its gold stripes, the black Ford Capri S soon became known as the ‘JPS’, an unofficial name reflecting the Lotus F1 cars of the time. 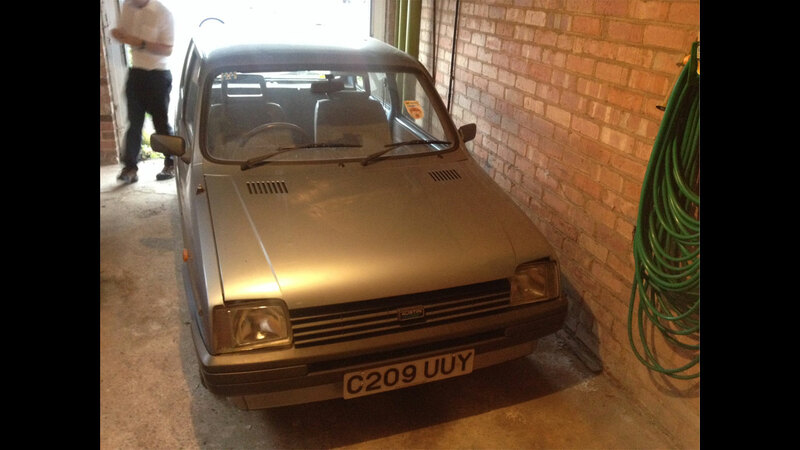 We checked the MOT history of this 1986 Austin Metro L to discover that it has covered a mere 13,779 miles during its three decades on planet Earth. Indeed, it has only travelled 250 miles since 2006. 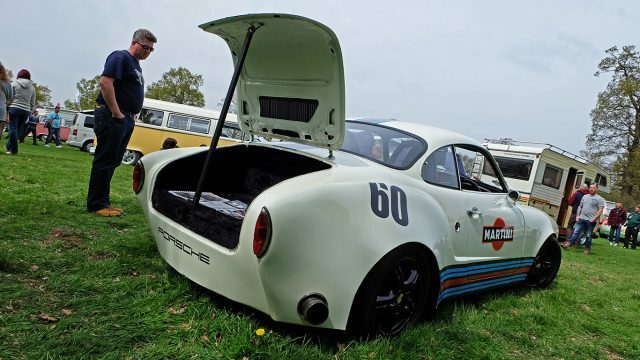 Does the fact that it has visited an MOT station every year for the past decade render the ‘barn-find’ tag null and void? Answers on a postcard. This Rolls-Royce Silver Shadow was built in 1975, registered in 1979 and last taxed in 1984. 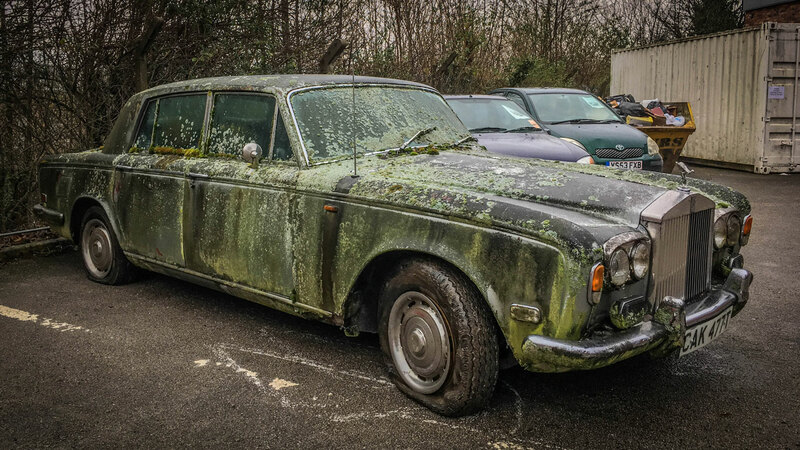 If the moss and grime is anything to go by, this sleeping beauty will need more than some light recommissioning before the 6.75-litre V8 engine roars into life. Beneath the layer of vegetation you’ll find silver paintwork, while the cabin is filled with wood and grey leather. It sold at a Sheffield auction in February 2017. We’d love to know its backstory. 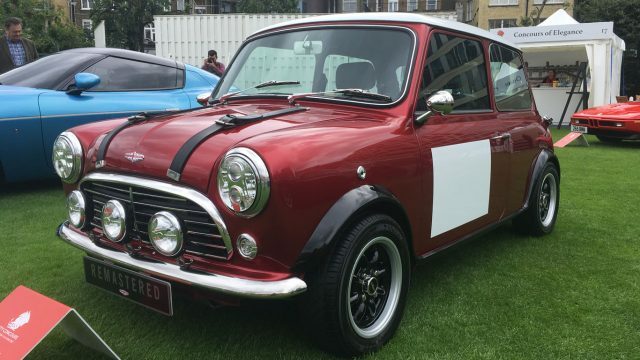 We’re reliably informed that Tom Larkin’s Mini is an 850 Super Deluxe. 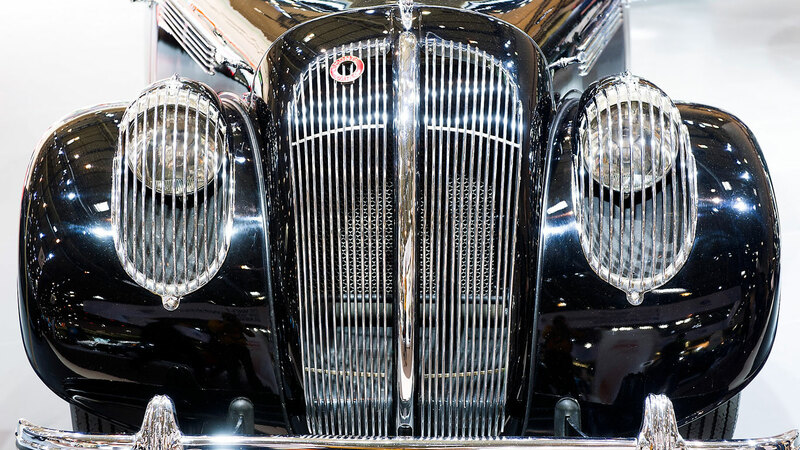 This trim level was formed when Super and Deluxe models merged to create something even more… well, super and deluxe. In its day, this was the flagship model of the standard Mini range, with a hint of the iconic Cooper. 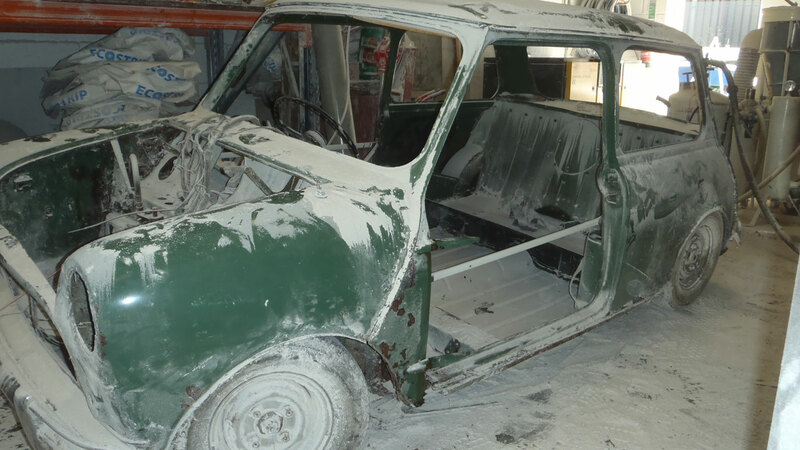 It’ll be a while before Tom’s Mini is either super or deluxe, but we’re looking forward to seeing the results. 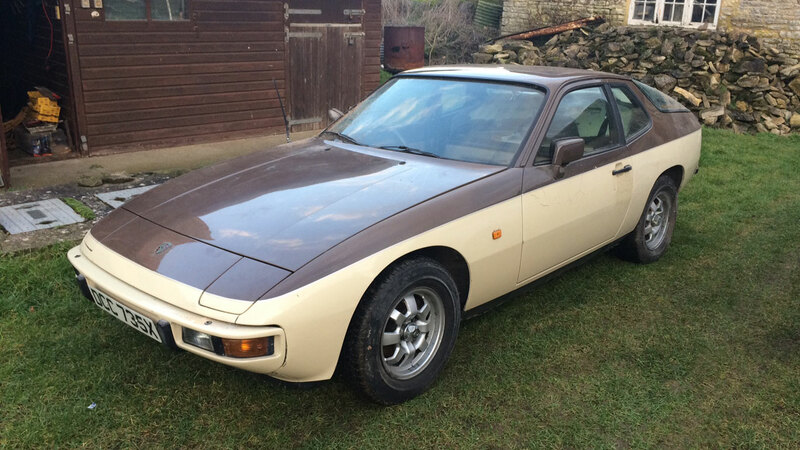 The two-tone beige and brown bodywork gives this Porsche 924 the air of a Toffifee caramel cup. Both were big hits in the 1980s and both were exported from Germany. But that’s where the similarities end, because you can’t wander down to your local supermarket to buy a Porsche 924. This 1982 example was last taxed in 2000. 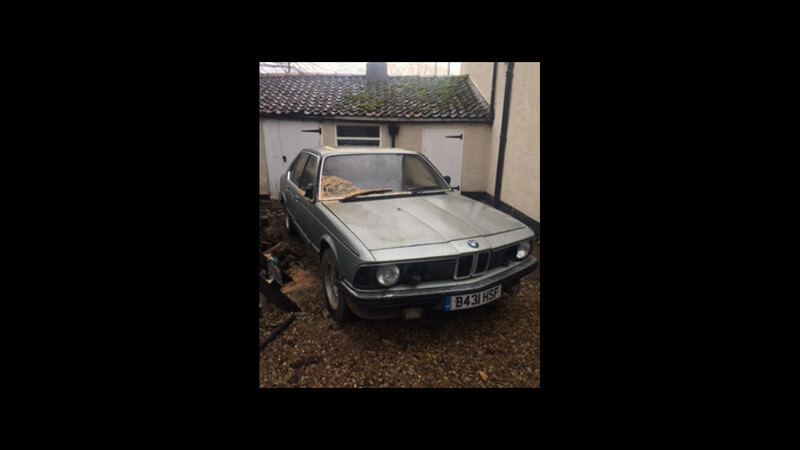 One of two cars on display belonging to John Ducker, this BMW 728i spent over a decade sat outside, exposed to the elements. “I had previously owned two 7-Series and thought that in their day they had a better ride than a Silver Shadow,” said John. 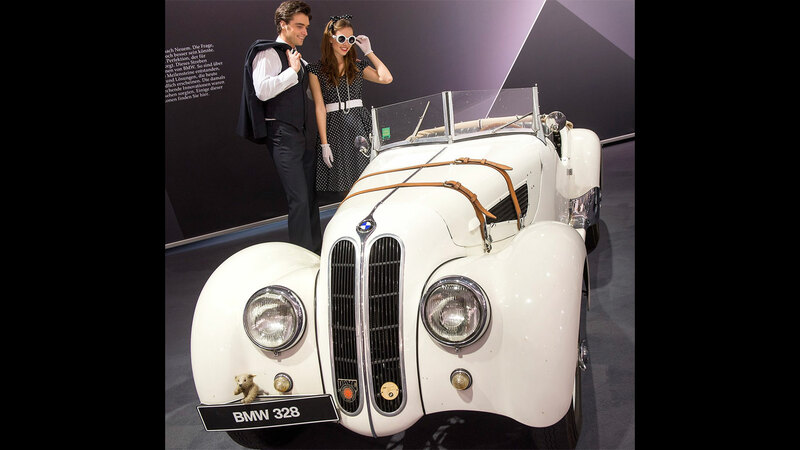 “My BMW is a very unusual manual gearbox model and the clutch is on the floor, so although the engine sounds sweet is cannot be run. For a car that was kept outside for so long, the body is comparatively free of rot, but the front passenger seat has deteriorated,” continued John. 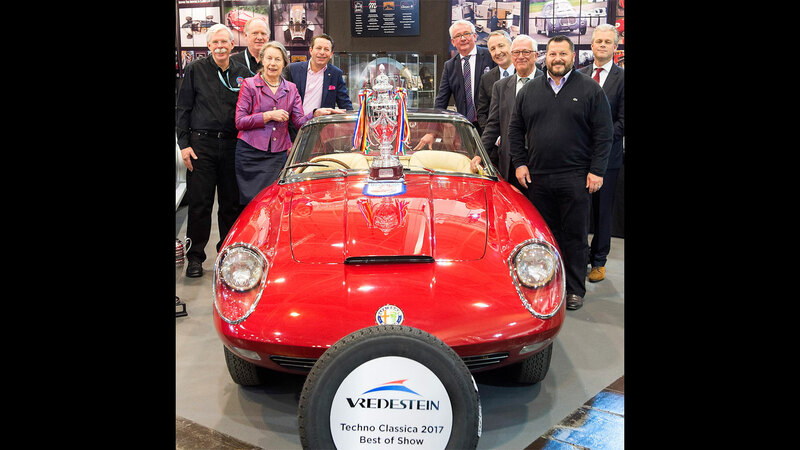 The Jensen FF on display at the NEC was purchased from a dealer in 1995 and remained in the same ownership for 22 years, although a long-term illness meant that the owner was unable to drive it. 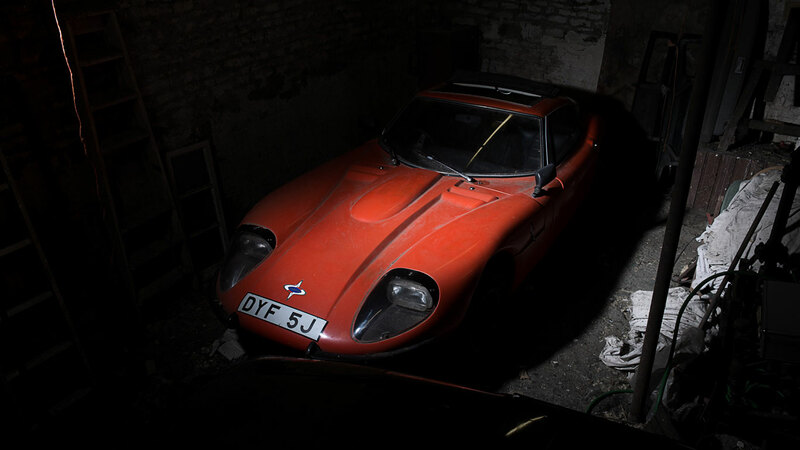 It remained in a workshop for many years, until the owner passed away and the FF was purchased by Andrew March. 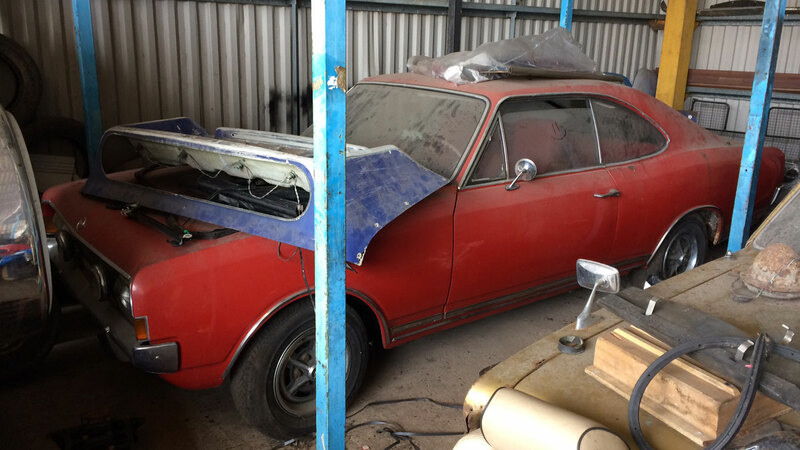 Andrew intends to restore the Jensen to its former glory. 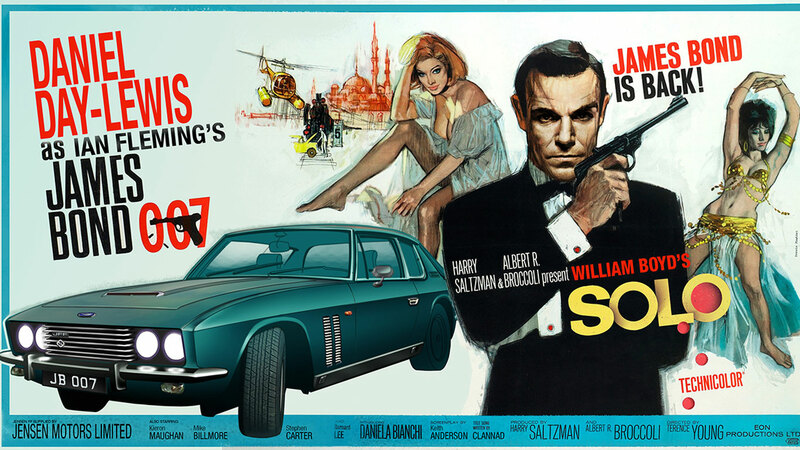 The artwork seen here centres on William Boyd’s Solo novel of 2013, which featured a Jensen FF in its publicity campaign. What a find! 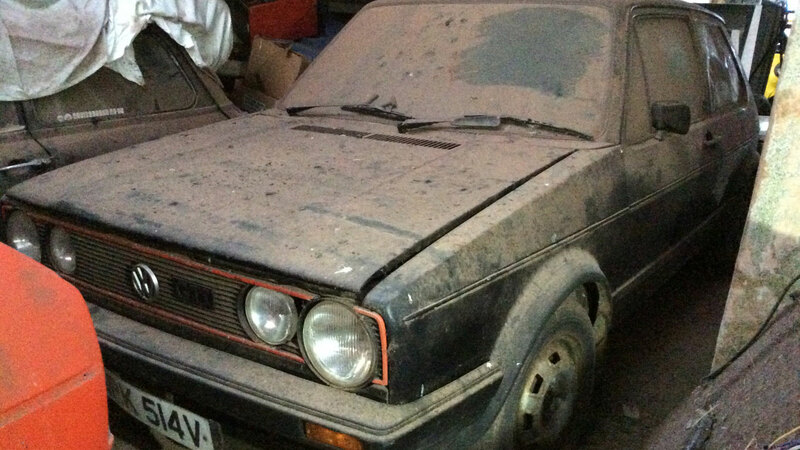 A good Mk1 Golf GTIs could be worth anywhere between £10,000 and £20,000, which means a ‘barn-find’ example will be in demand. What you can’t see is the interior, which is covered in a thick layer of mould. You might need to dress up like Walter White in a meth lab before tackling this job. Got your eye on something tasty on eBay? Put a cheeky bid on it – you never know, you might be lucky. That’s exactly what happened when John Ducker made a low bid for one of the few surviving Isuzu Piazza Turbos. The next morning he discovered he was was the new owner, and although it required some welding, Ducker describes the overall condition as “not too bad”. “It is also a nice machine to drive,” continued John, “and my 1989 example is one of the only turbo automatics in the UK.” The Giugiaro-penned Piazza was influenced by the stunning Asso di Fiori concept of 1979. John certainly played his cards right. 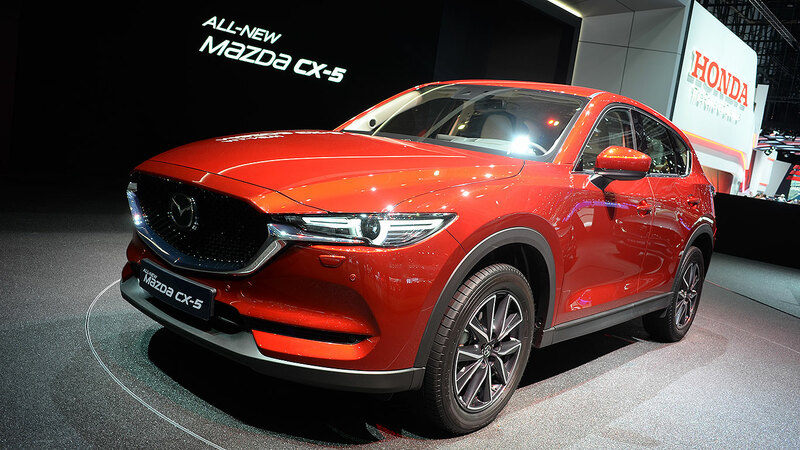 There’s little love for the Nissan Cherry Europe and its sister car the Alfa Romeo Arna, a factor that has contributed to their spiral into the abyss. So it’s nice to see a Cherry Europe on display at the NEC. “It had been lying in a garage in Stoke-on-Trent for the past 10 years,” said owner David Roberts. 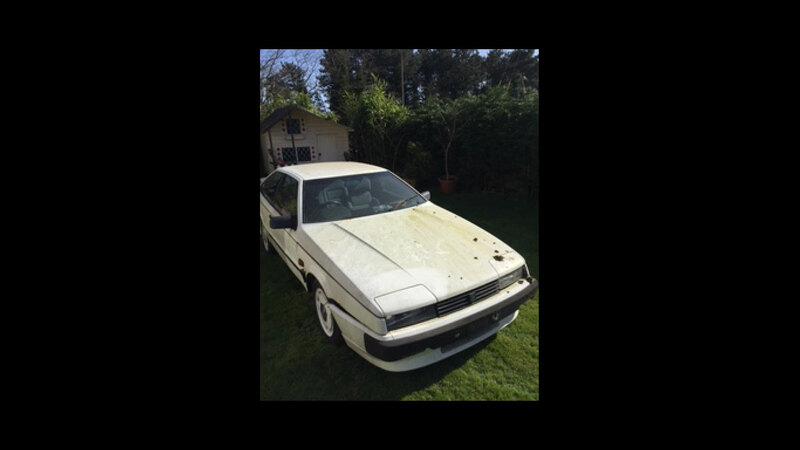 “The Nissan was surrounded by junk and its interior used for storage, but it wasn’t a complete mess and there were just 32,597 miles on the clock.” The Cherry was MOTd in May 2016 and the exterior is as David found it. 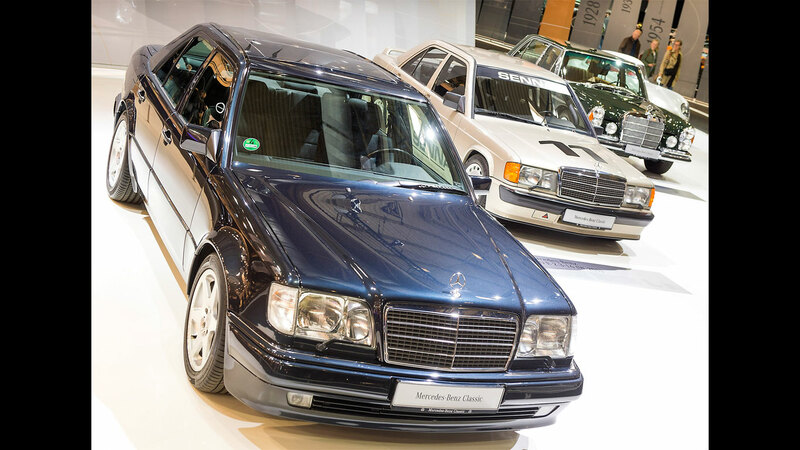 “A true pillarless coupe that’s in a class of its own – the sort of look you don’t often see in Britain.” Today, that statement holds true, with very few Commodores left in the country. Marcos was established in 1959, its name a combination of the surnames of its founders, Marsh and Costin. 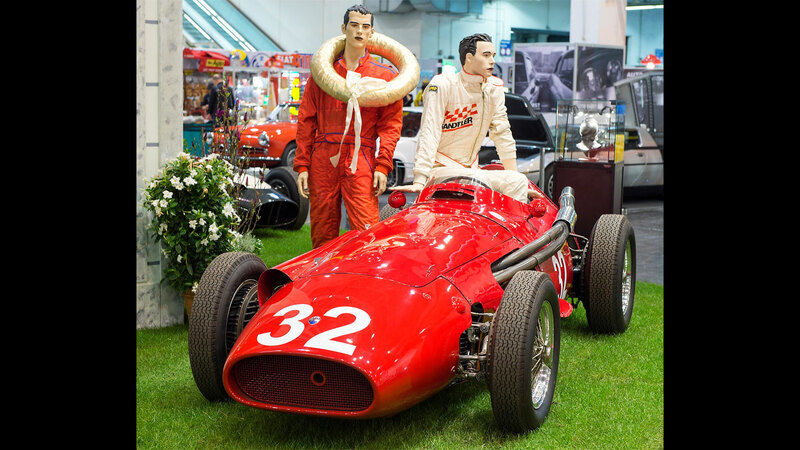 The GT was launched in 1964, complete with a wooden chassis and fibreglass shell. It was notable for having a fixed seat and movable pedals, with a cabin designed around founder Jem Marsh, who happened to be 6ft 4in tall. This particular GT, which dates from 1970, was last taxed in 1987. 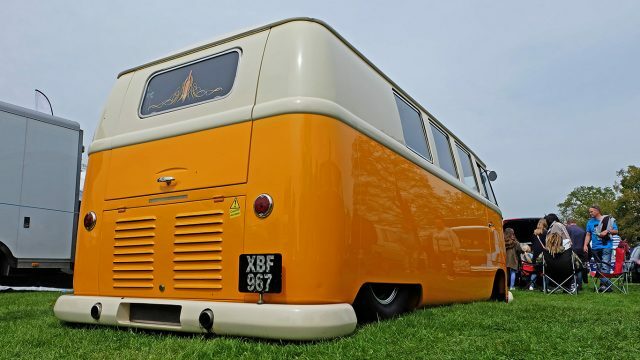 It’s powered by a Ford Essex 2.0-litre engine. 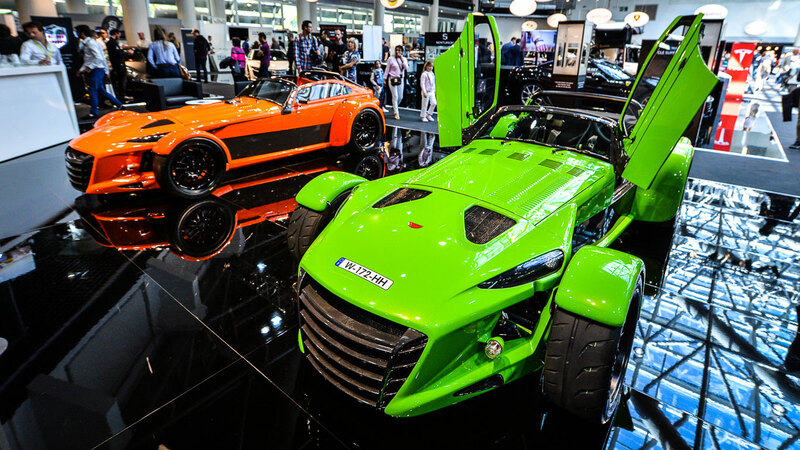 It wouldn’t be a motor show without an array of wild and outlandish concept cars. 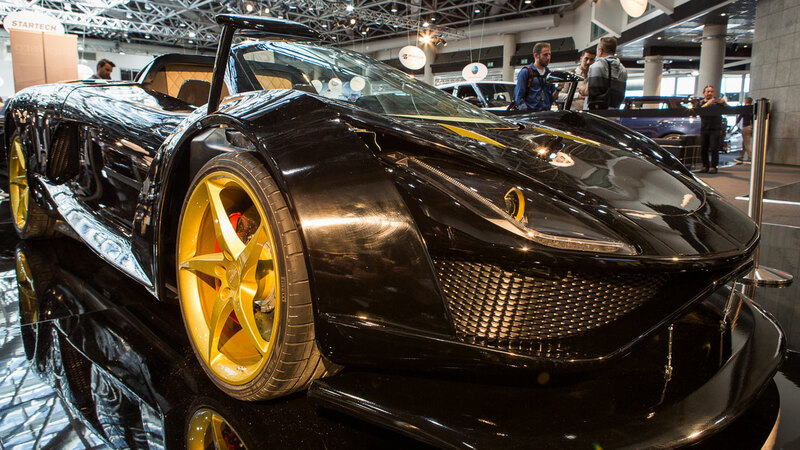 The 2017 Geneva Motor Show is no different, as this gallery of concept cars proves. 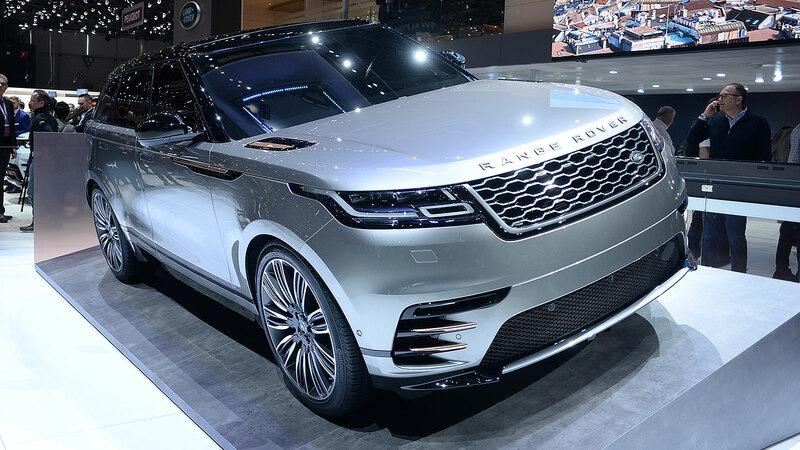 Some will never see the light of day, while others provide a hint of potential new models. Pick your favourite from this lot. 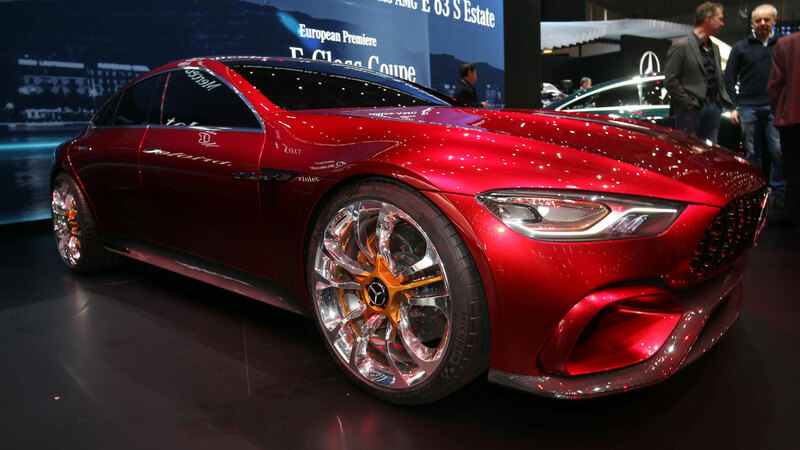 The Mercedes-AMG GT Concept: a glimpse into the future with one eye on the past. The concept has been unveiled as part of the 50th anniversary of Mercedes-AMG, but is designed to give “an indication of the alternative drive configurations AMG is designing”. To this end, the GT Concept is powered by a 4.0-litre V8 twin-turbocharged engine and an electric motor to provide a total system output of 804hp. 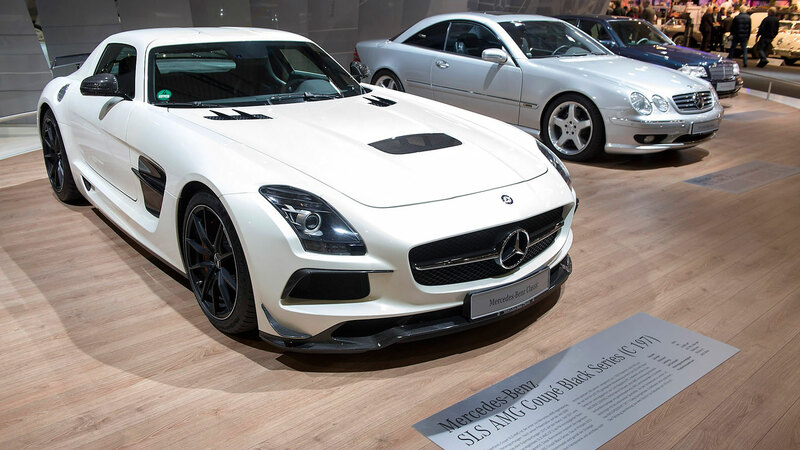 According to Mercedes-AMG, the GT Concept will sprint to 62mph in “less than three seconds”, but it hasn’t confirmed a top speed. Whether the four-door coupe makes production remains to be seen, but with the new Porsche Panamera Sport Turismo unveiled in Geneva, we wouldn’t be surprised to see this becoming the third member of the AMG GT family. 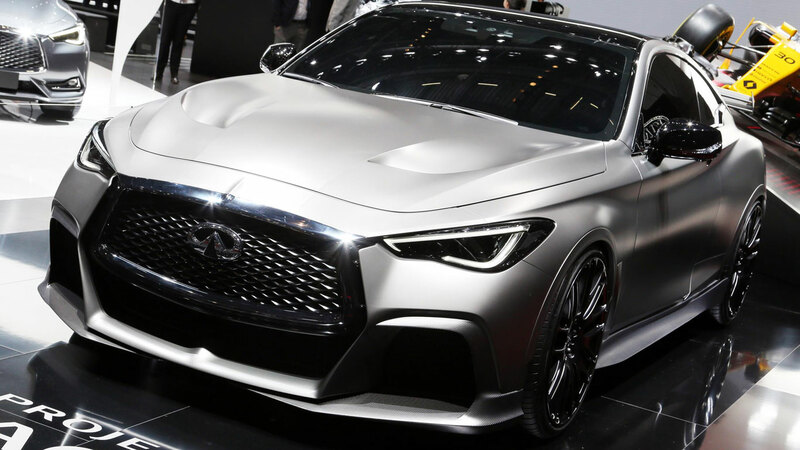 Infiniti is certainly talking a good talk with the Project Black S. Referencing a new Infiniti ‘performance grade’ and a close collaboration with with Renault Sport Formula One Team is guaranteed to pique the interest of any self-respecting petrolhead. 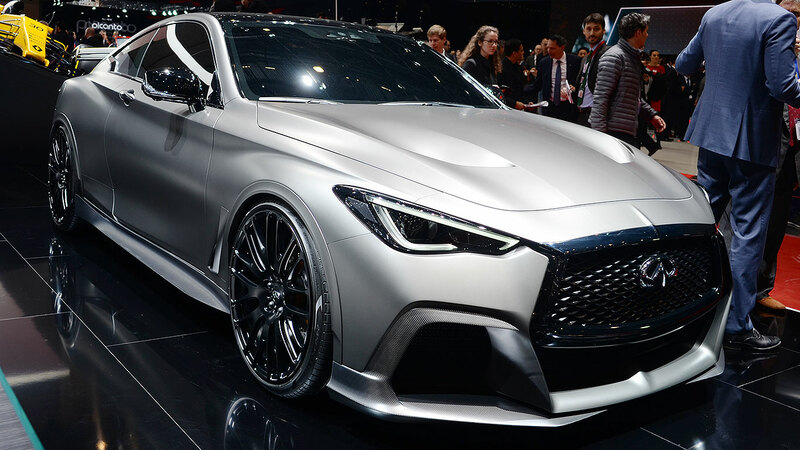 And besides, it’s high time Infiniti delivered a car we can all get behind. 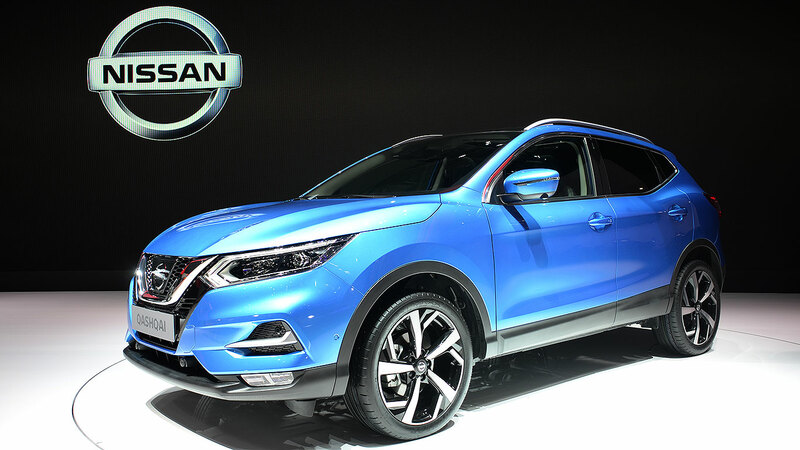 Nissan’s posh arm is investigating the potential for F1-style hybrid technology in a production car, with an energy recovery system (ERS) that could contribute a 25% increase in power for the new 3.0-litre V6 twin-turbocharged engine. As a bonus, the ERS could improve acceleration and eliminate turbo lag. An F1-inspired coupe: where do we sign? Infiniti, do the right thing. 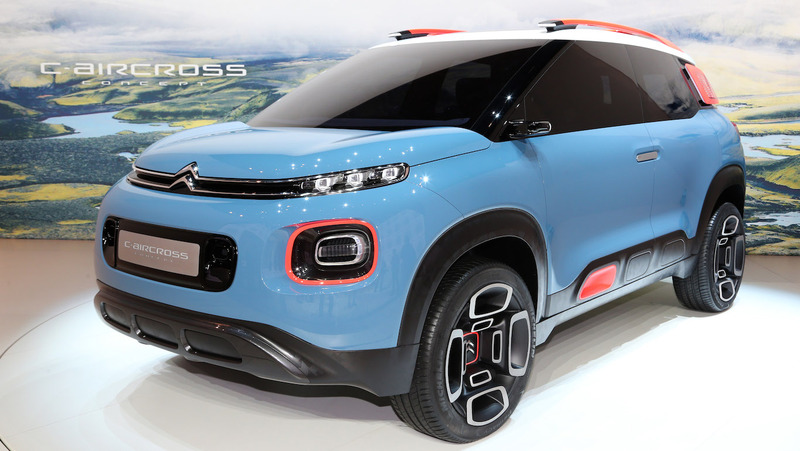 Dare we suggest that we’re a little underwhelmed by the Citroen C-Aircross. 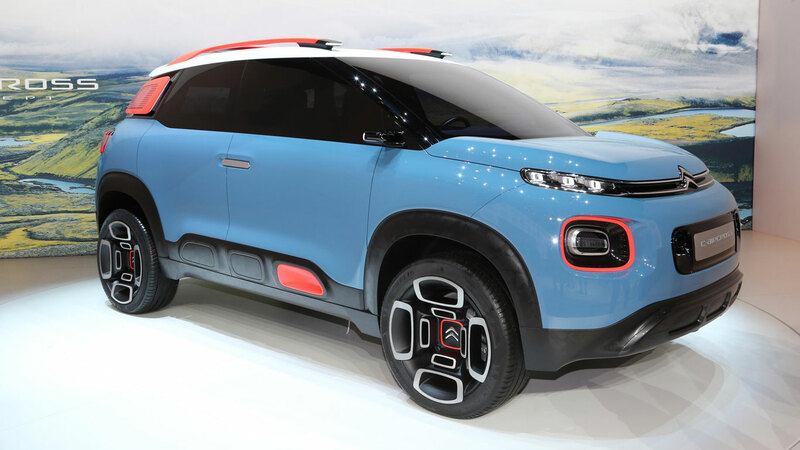 It’s not that’s uncool, it’s just that the new C3 supermini has raised the bar sufficiently enough for us to look at this concept with a sense of ‘meh’. Whatever that means. 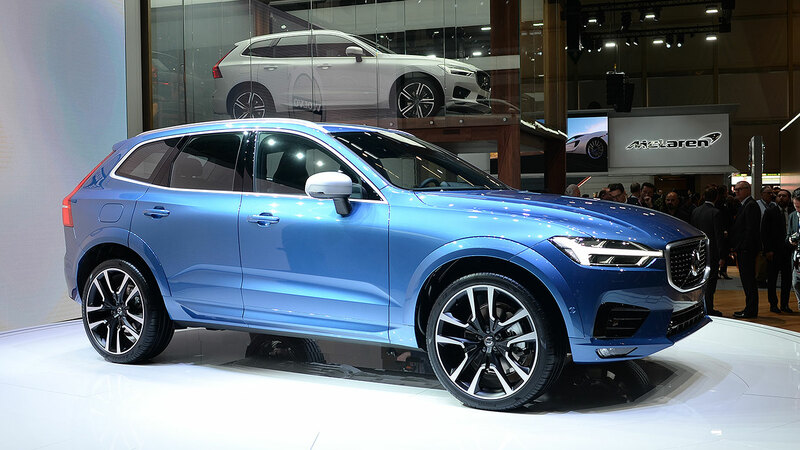 Oh, sure, the standard motor show trinkets are there: suicide doors, cameras for door mirrors and ‘showy’ 18-inch rims to name but three, it’s just that we’re not bowled over by the C-Aircross. There are, however, reasons to be cheerful. Firstly, it highlights just how far Citroen has come in recent years. And, secondly, it previews the next-generation C3 Picasso. Good news. For now, the Jaguar I-Pace remains a concept, but the model on show in Geneva looks as production ready as you’re likely to get. It also shows off a new Photon Red paintjob. It’s the first time the I-Pace has been seen in Europe and it previews Jaguar’s first all-electric vehicle, set to hit the streets in 2018. 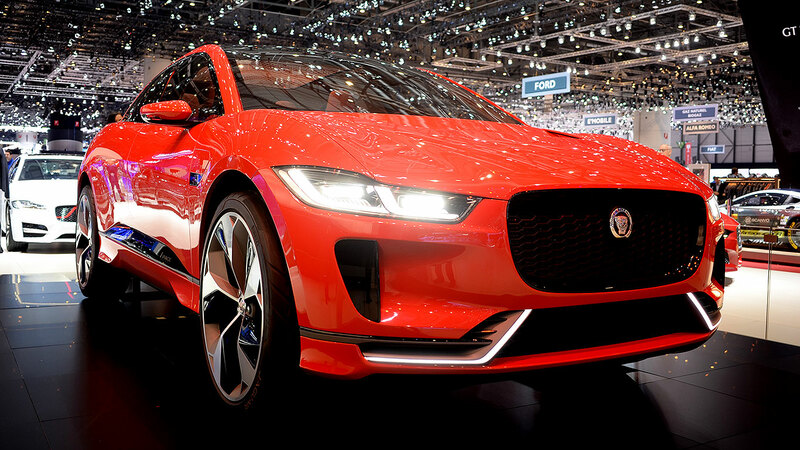 Jaguar is already taking orders for the Tesla Model X rival, with one outlet claiming that 350 deposits have already been received. 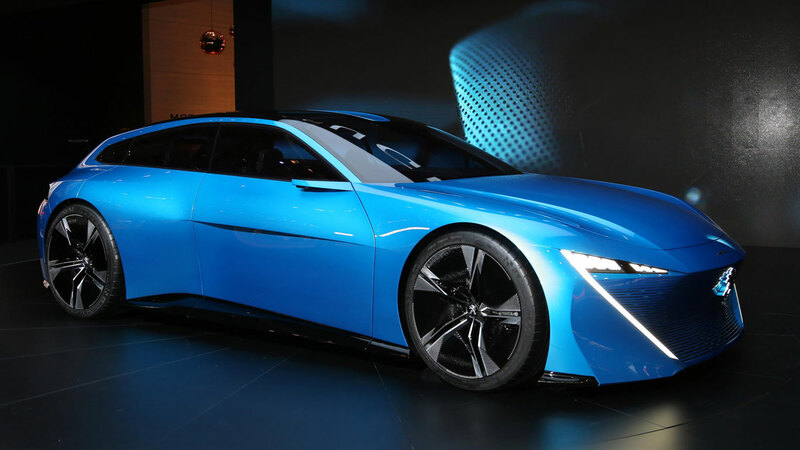 If Peugeot is to be believed, this is what an autonomous future looks like. 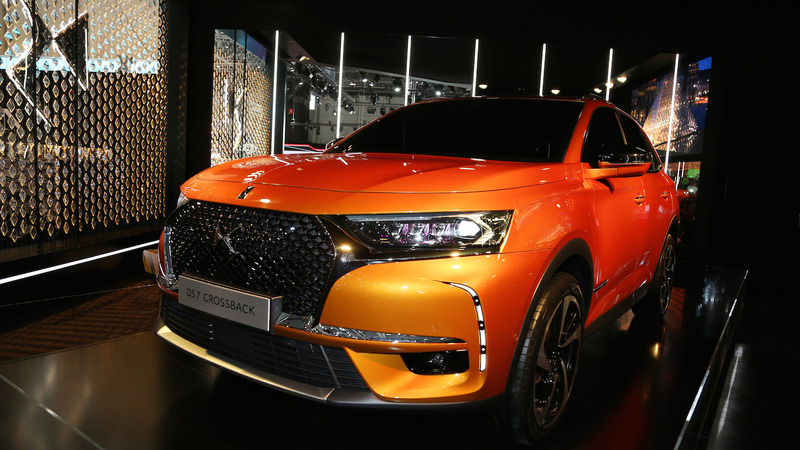 The Instinct is a 300hp plug-in hybrid with both ‘Drive’ and ‘Autonomous’ driving modes, with Peugeot claiming that an ‘Internet of Things’ platform will learn the driver’s lifestyle. The seats can be adjusted individually, allowing the occupant to select the position most suited to them – upright to drive or horizontal to… er… sleep. Yes, sleep. You’ll also find a so-called ‘chatbot’, a speech-driven PA offering a vast array of services. 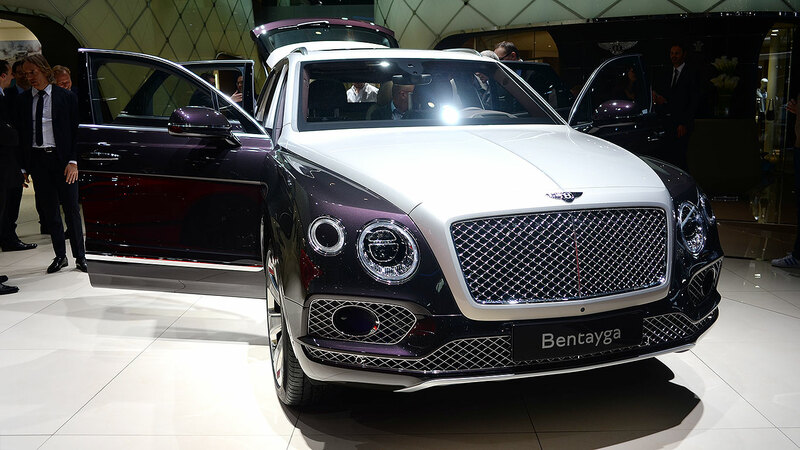 You might hate the Bentley Bentayga, and – as Bobby Brown might say – that’s your prerogative. But if Bentley sells a sufficient number of the boutique SUVs, it’ll be free to explore new ideas such as this: the EXP 12 Speed 6e. In true grand tourer style, Bentley claims that an electric vehicle with a ‘Flying B’ perched on the bonnet must offer sufficient range to be able to drive between London and Paris or Milan and Monaco on a single charge. Ideal, if you’re planning to race a train from the Carlton Hotel in Cannes to the Conservative Club in London. 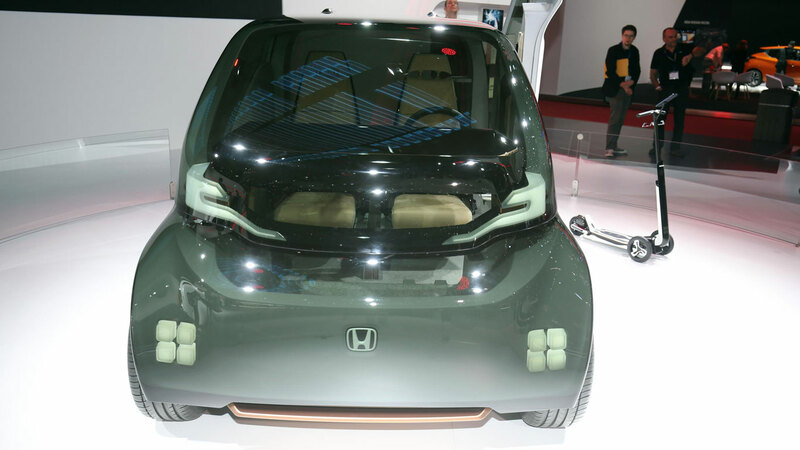 NeuV – pronounced ‘new-vee’ – stands for New Electric Urban Vehicle, and it’s Honda’s vision of an electric future. Not only can it learn things about its driver – stop picking your nose at the wheel – it also takes advantage of the fact that privately-owned vehicles sit idle for 96% of the time. In other words, the NeuV doubles up as automated ride sharing vehicle when the owner is not using the car. It has the potential to collect and drop off customers at local destinations, even selling energy back to the grid. Cool concept, this. 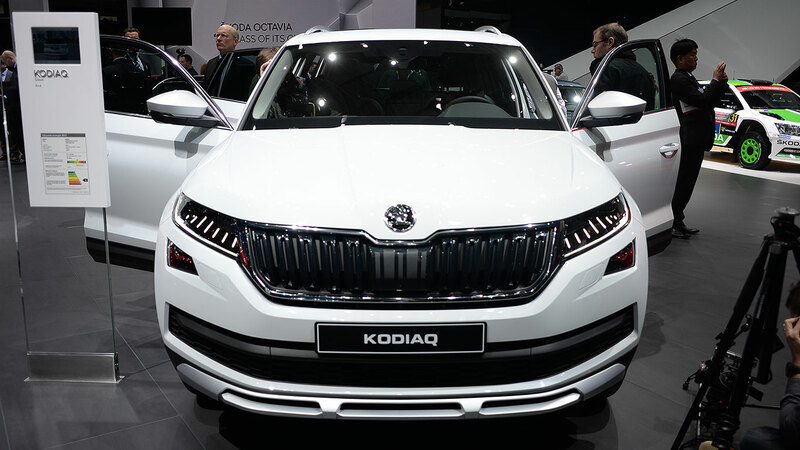 Remember when you laughed at that Korean carmaker with the funny name? 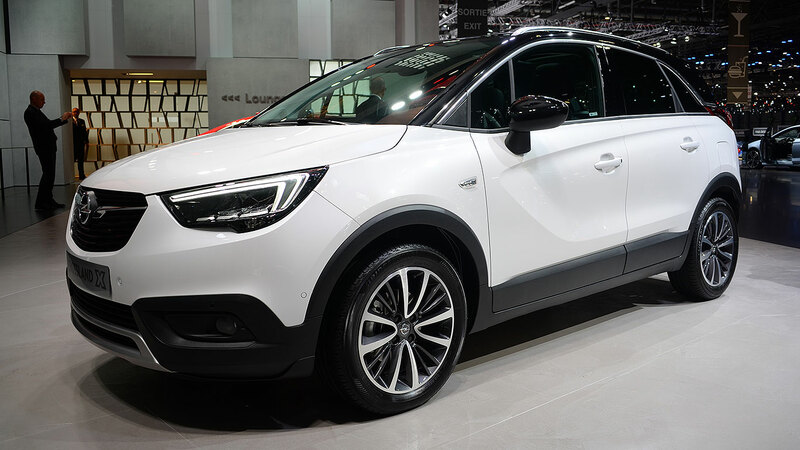 Laugh no more, because SsangYong is on a roll, as demonstrated by the really-rather-good Tivoli. 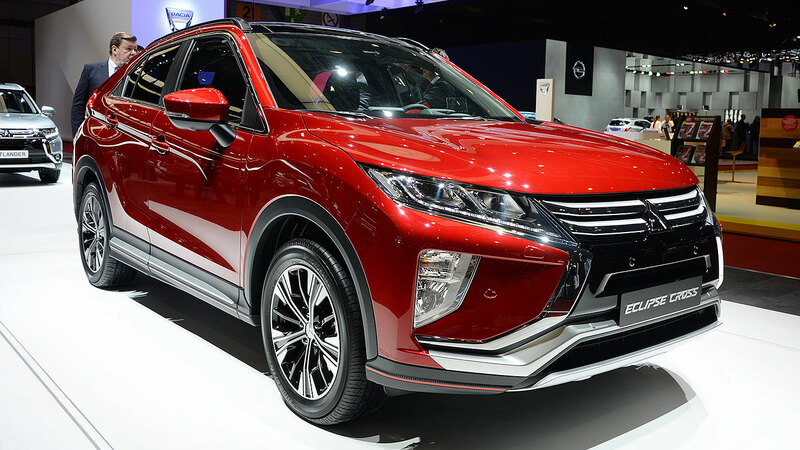 The XAVL previews a next generation seven-seat SUV, featuring seven independent seats and a huge amount of interior space. 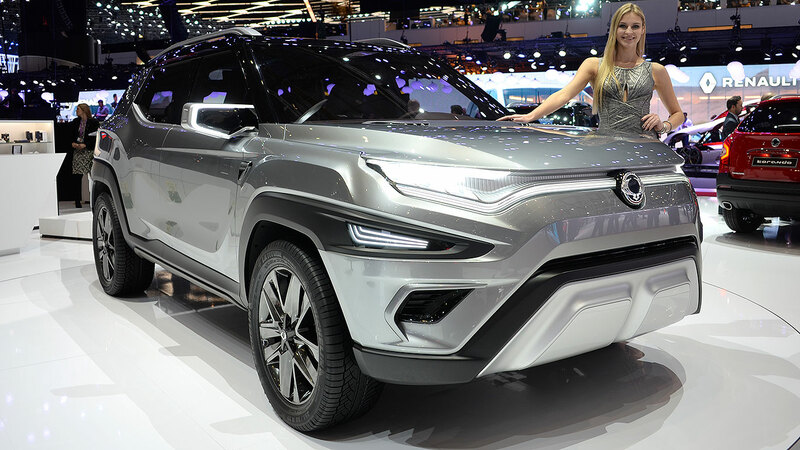 According to SsangYong, the eXciting Authentic Vehicle Long draws inspiration from the “iconic” Korando, meaning it might preview a replacement for the value-driven SUV. 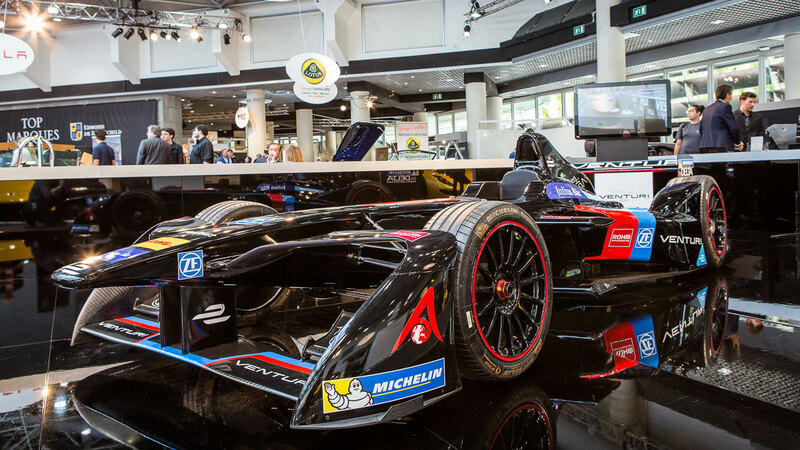 There are those who believe that it’s hydrogen and not electric that represents the future of sustainable motoring. For now, the infrastructure isn’t there to support a fleet of hydrogen-powered cars, but the likes of Honda, Toyota and Hyundai are at the forefront of development in the sector. 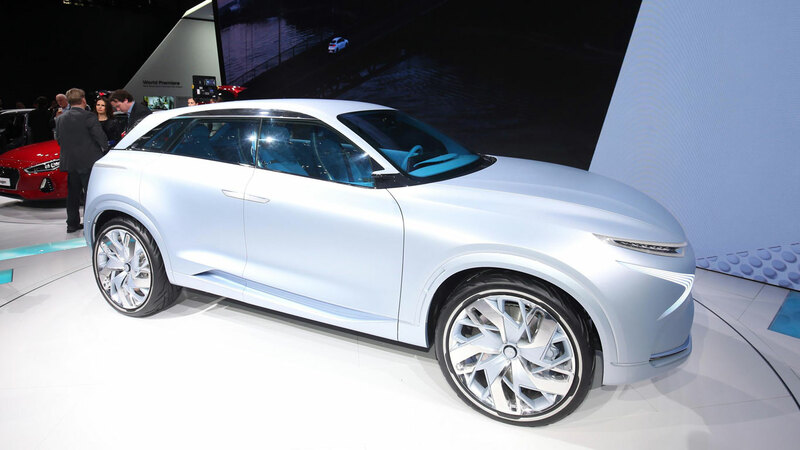 The FE Fuel Cell is part of Hyundai’s plan to deliver 14 or more new environmentally-focused models by the year 2020 and has the potential to deliver a range of up to 500 miles from a single tank. 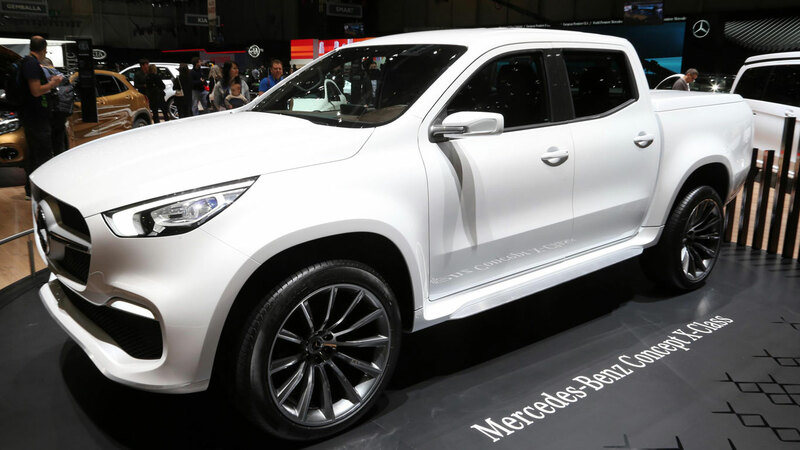 You’re unlikely to find a Concept X-Class parked outside a branch of Wickes, as Mercedes-Benz is pitching this to a more “urban lifestyle” audience. 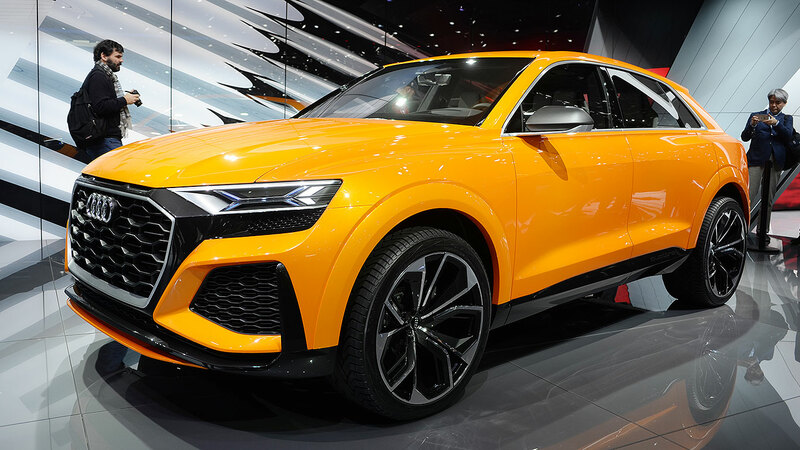 The five-seat pick-up previews the production version, set to launch later this year. 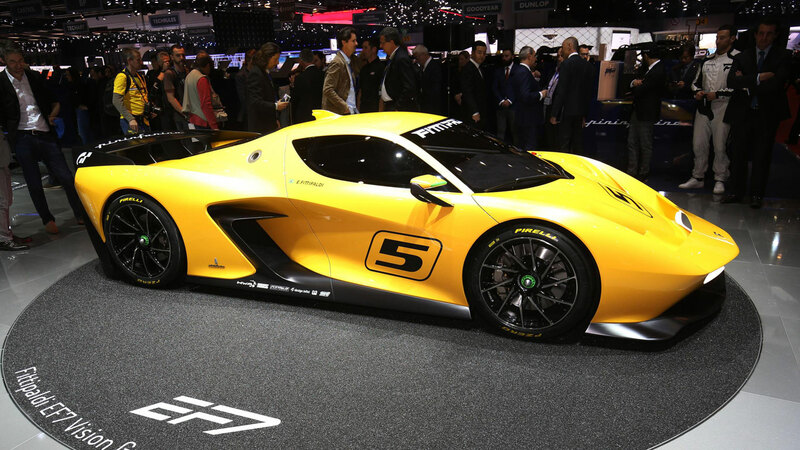 The Fittipaldi EF7 is a concept car you can drive, at least in a virtual sense. It’s the latest in a long line of Vision Gran Turismo cars, coming to a Sony PlayStation near you soon. 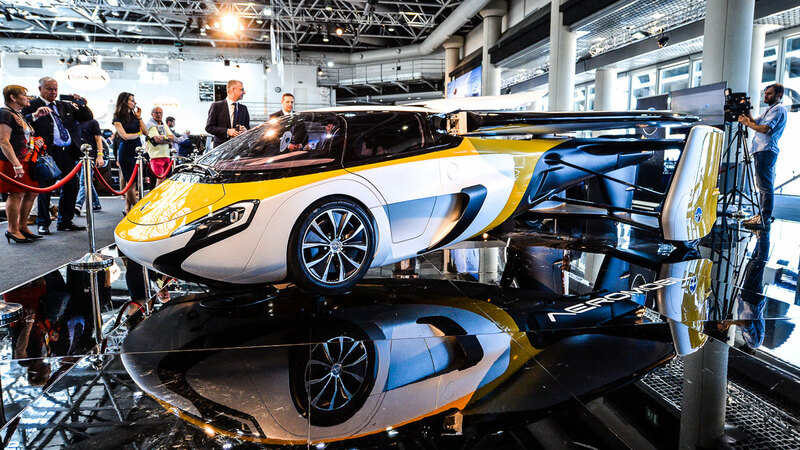 It’s the result of a collaboration between Emerson Fittipaldi, Pininfarina and engineering firm HWA, and is said to fulfil Fittipaldi’s vision of building a car with “fierce track-racing capabilities” for drivers of all skill levels. A case of saving the best ‘til last? 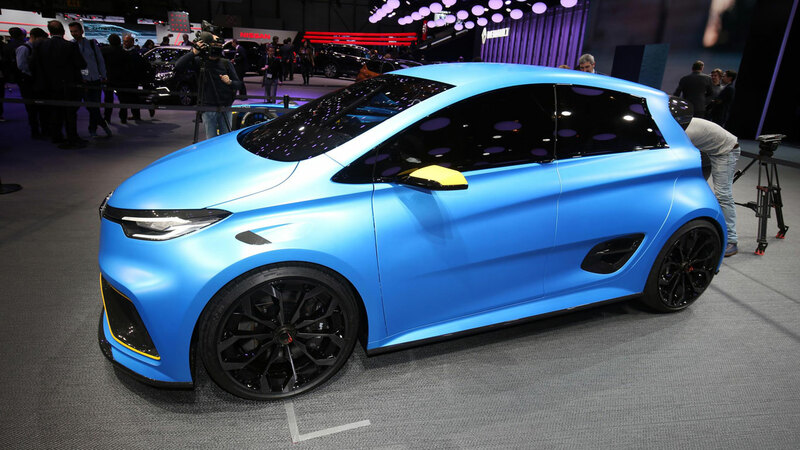 The Zoe e-sport is the electric car you’ve always dreamed of, drawing upon Renault’s experience in Formula E. It’s packing a 455hp electric punch, enough to propel the Zoe to 62mph in just 3.2 seconds. 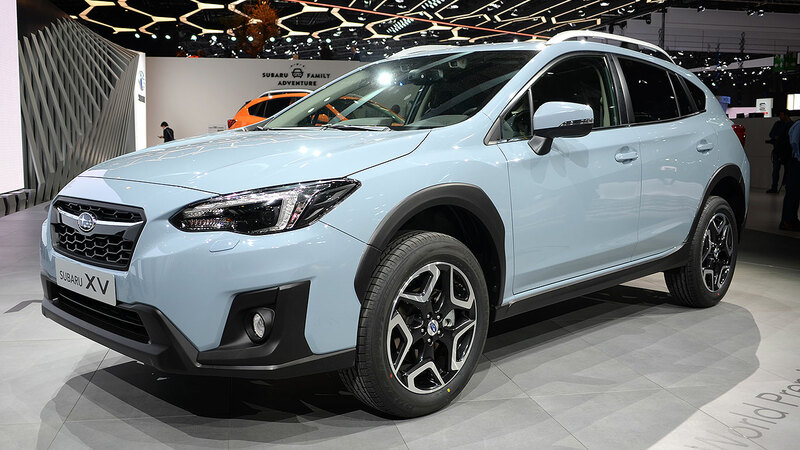 Use of carbonfibre and kevlar keeps the weight down, while a lowered ride height, wider tracks and four-wheel drive should provide exceptional cornering ability. 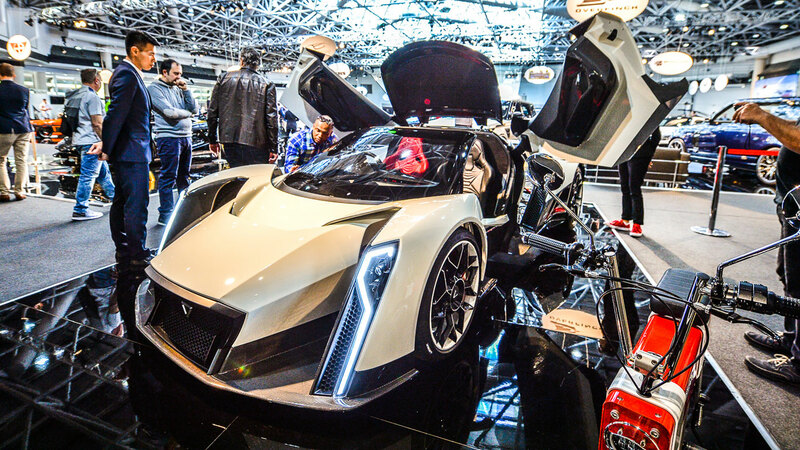 Double-wishbone suspension, 20-inch rims, Ohlins dampers, Recaro seats and Formula E-style controls complete the transformation from humdrum to hero. 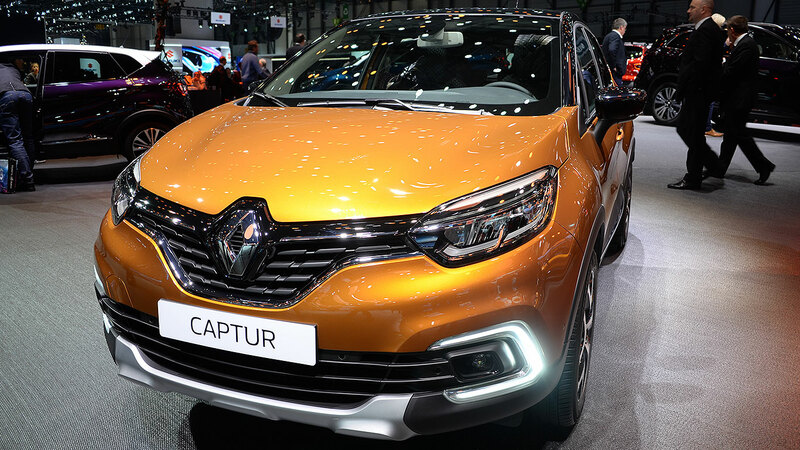 Renault, we have two words: build it.